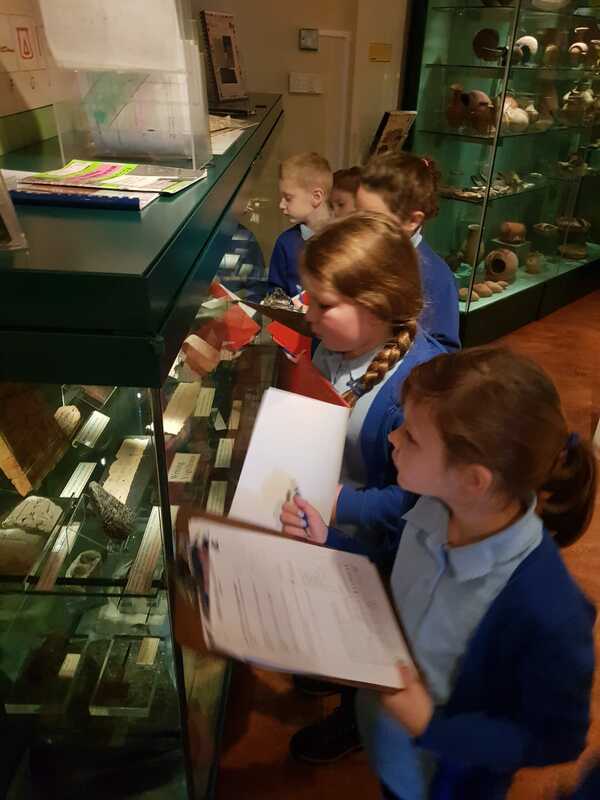 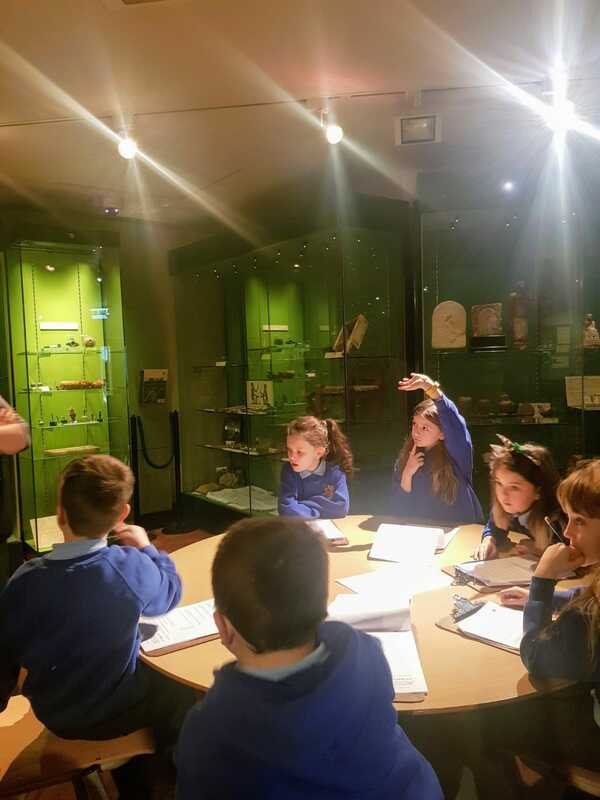 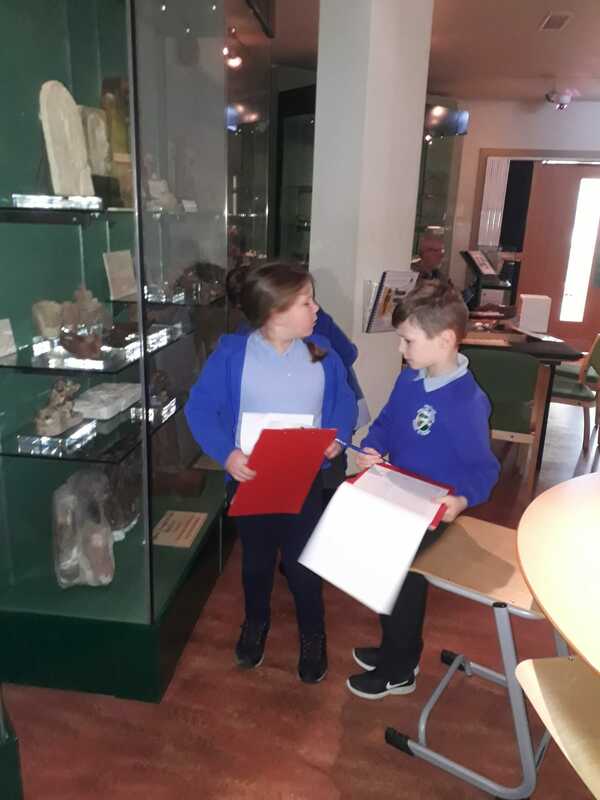 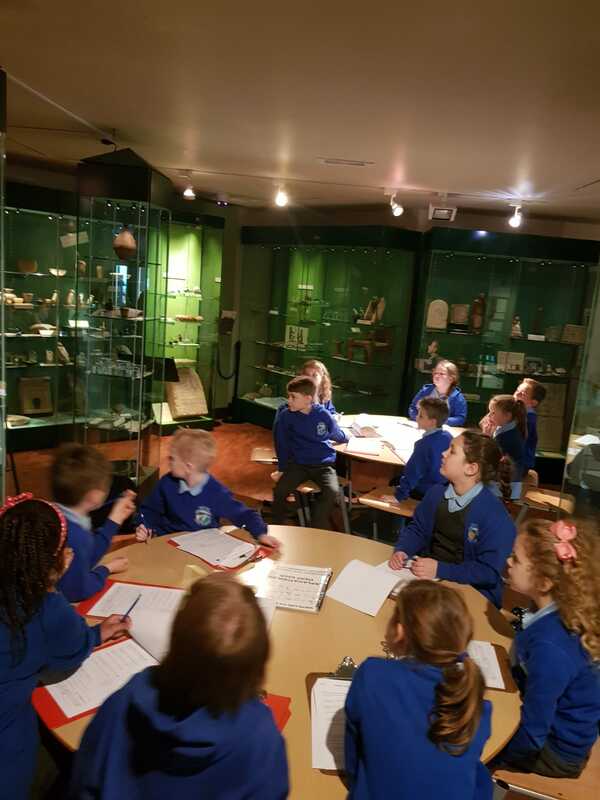 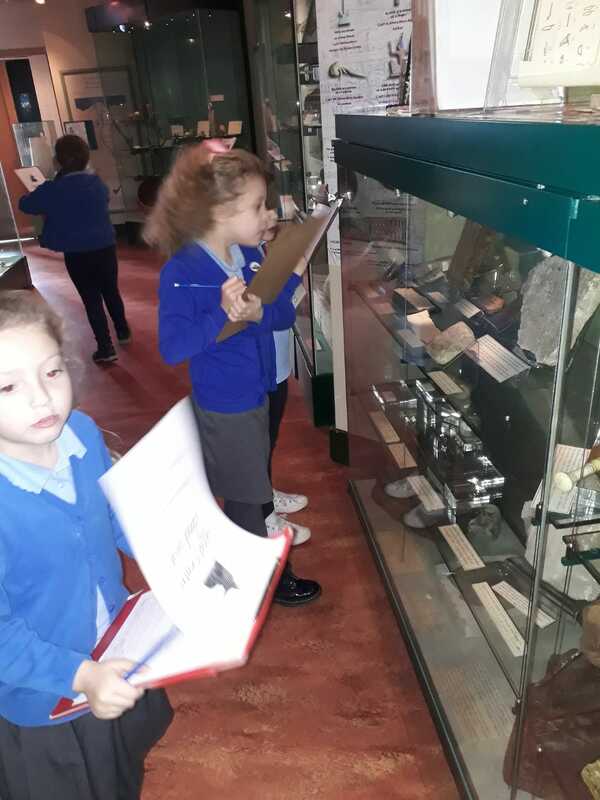 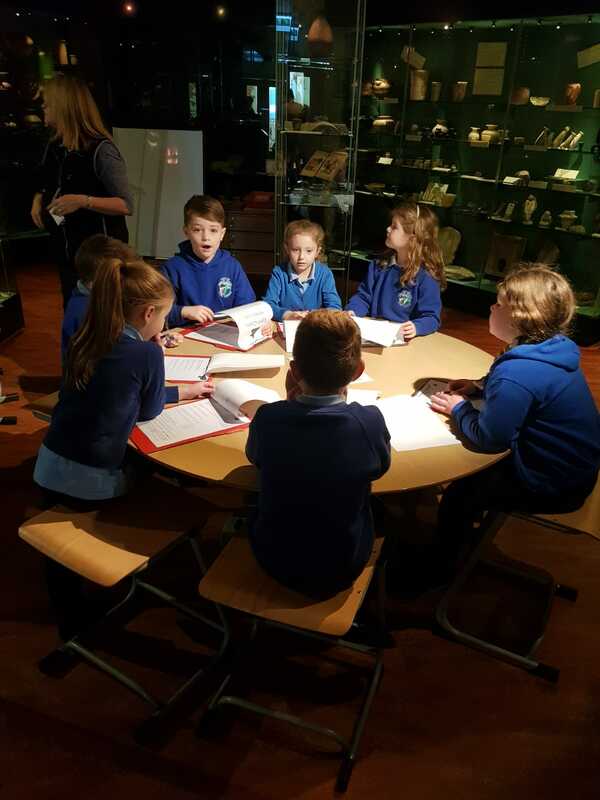 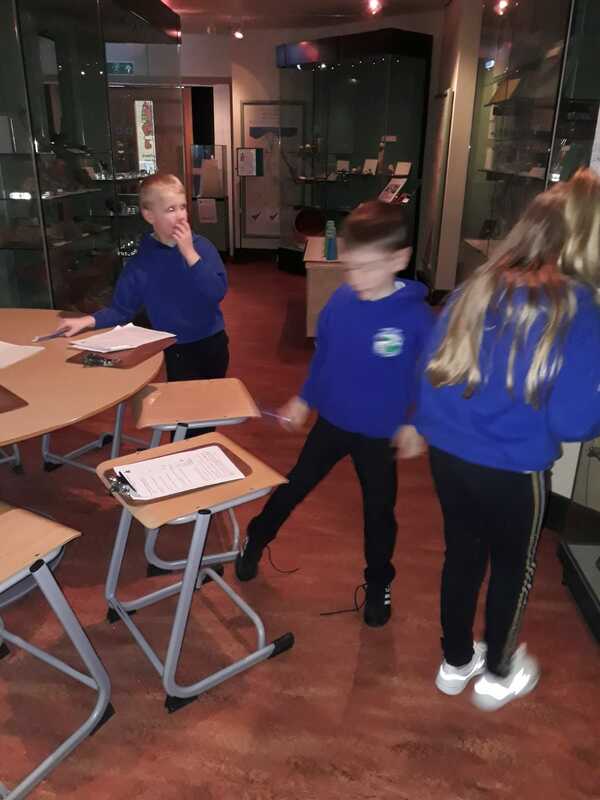 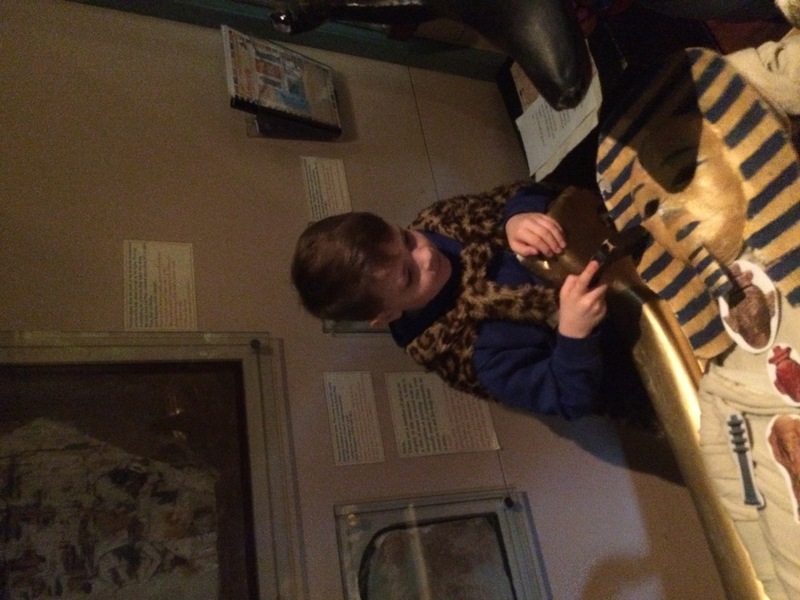 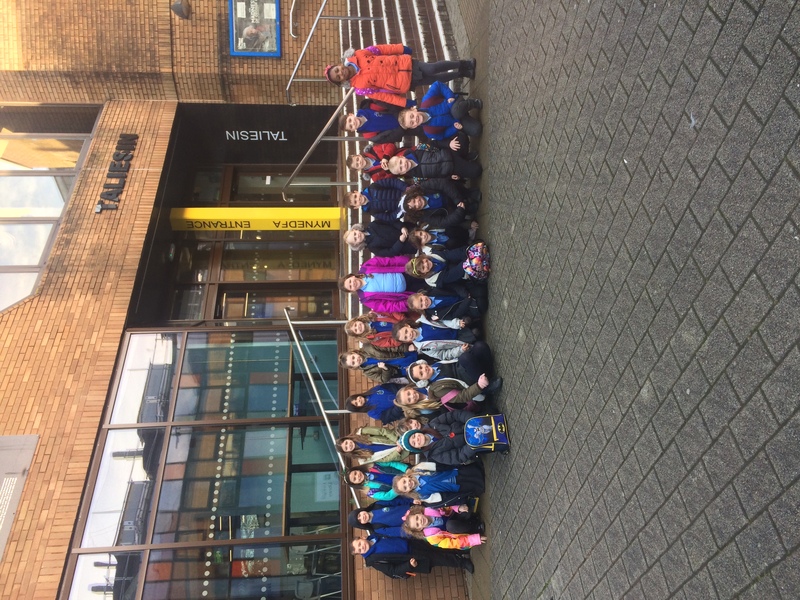 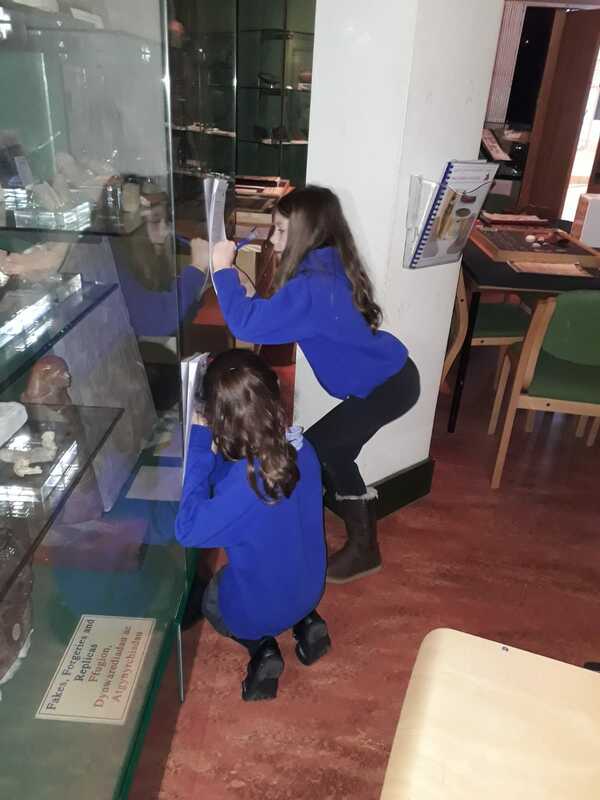 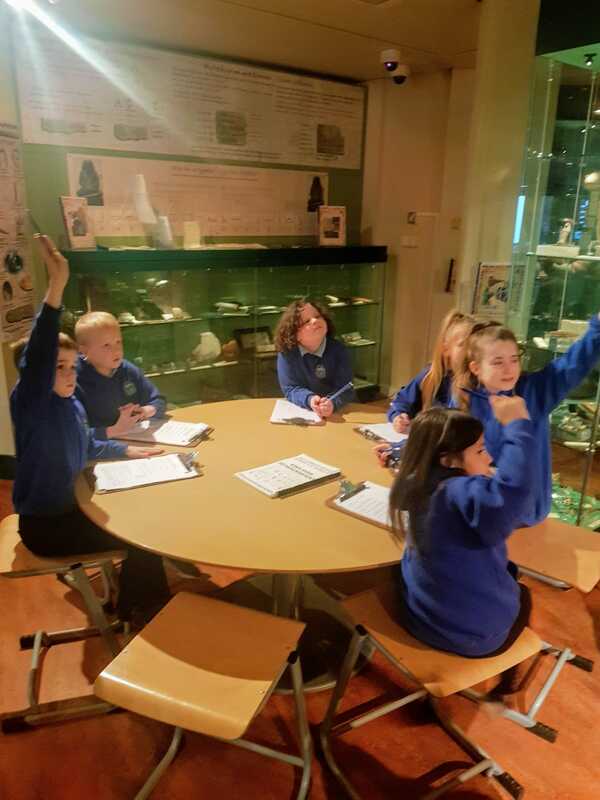 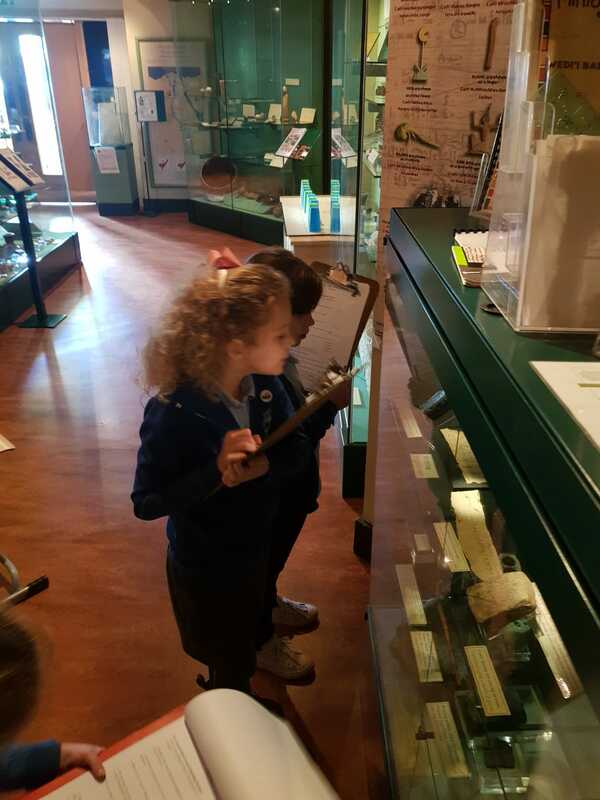 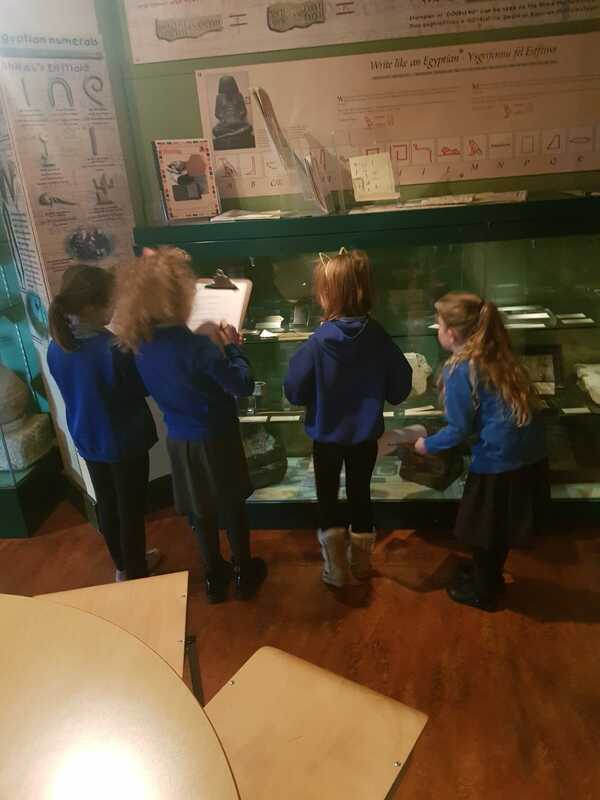 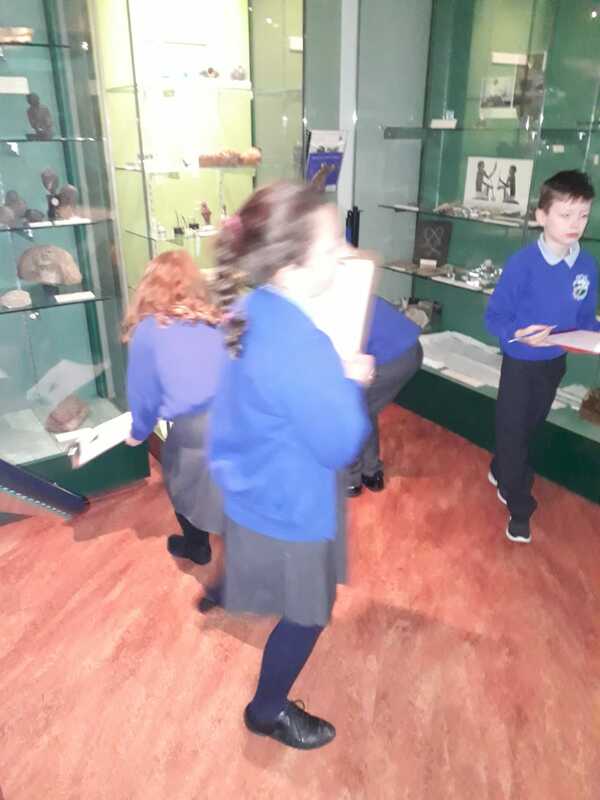 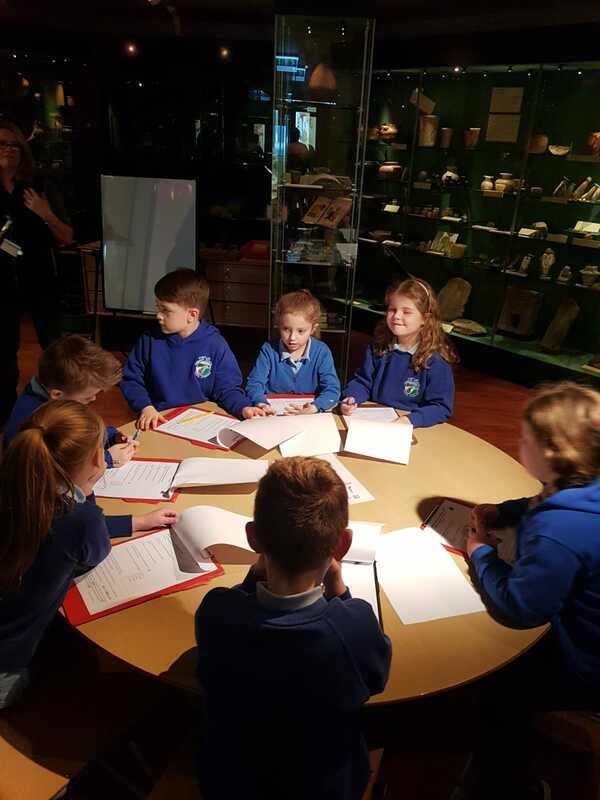 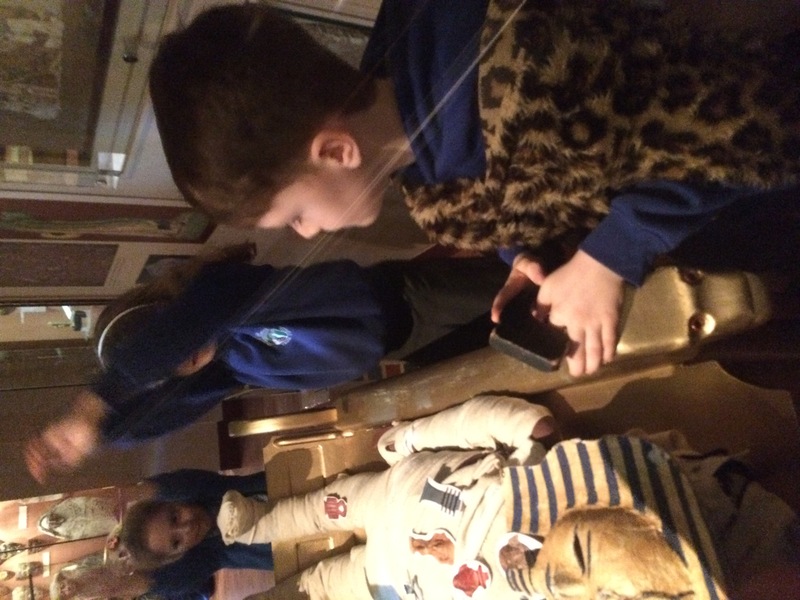 What a fantastic day we have had visiting the Egypt Center. 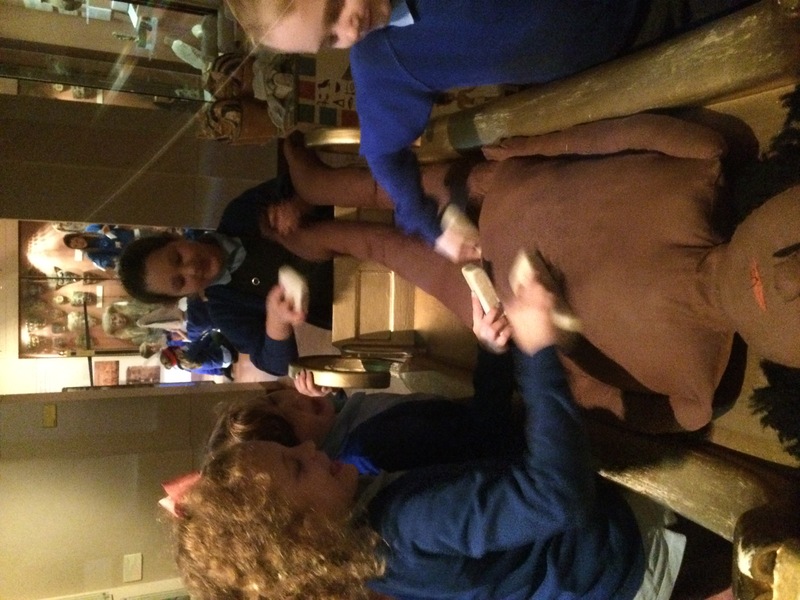 In the morning, the children explored the House of Life where they took part in two activities. 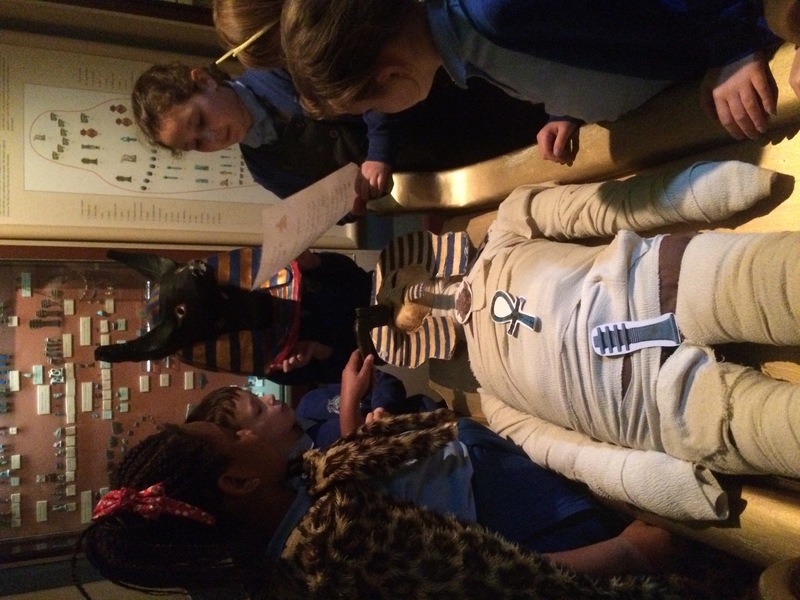 Firstly, they were transported back in time to ‘scribal school’ where they learnt the basics of the Egyptian alphabet. 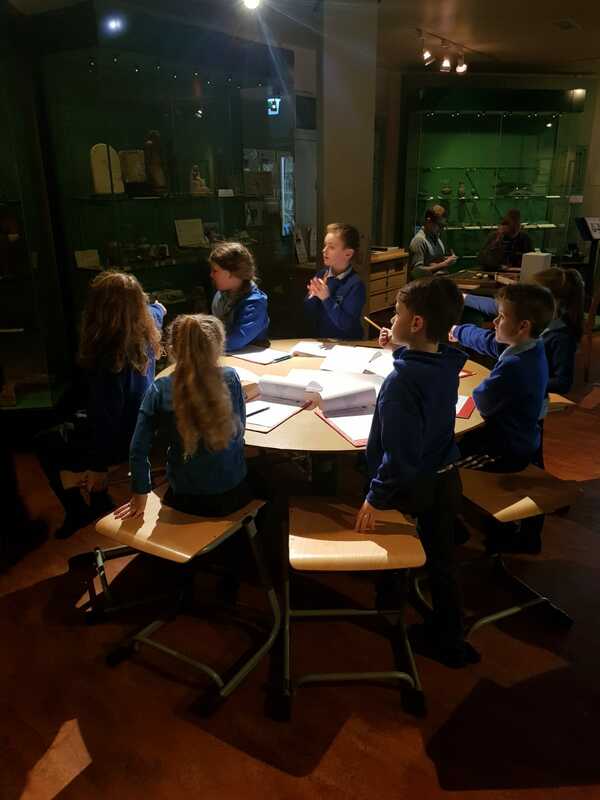 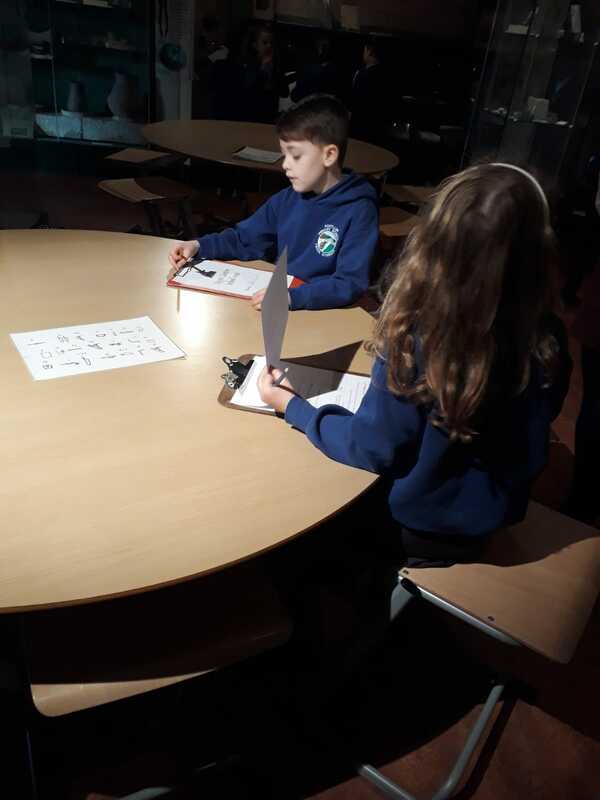 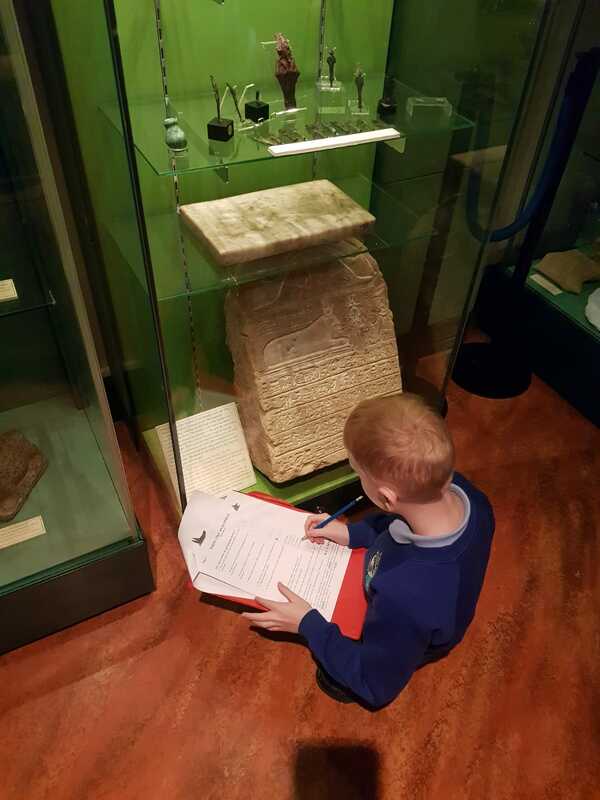 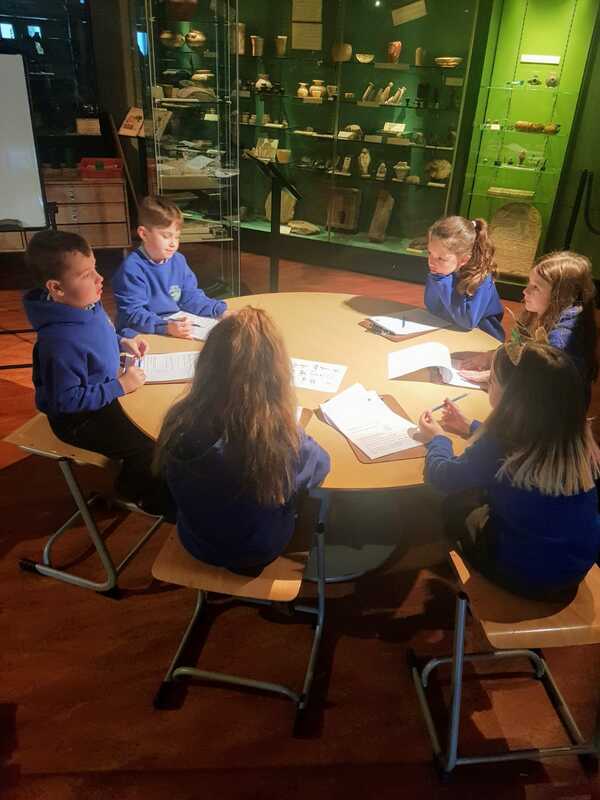 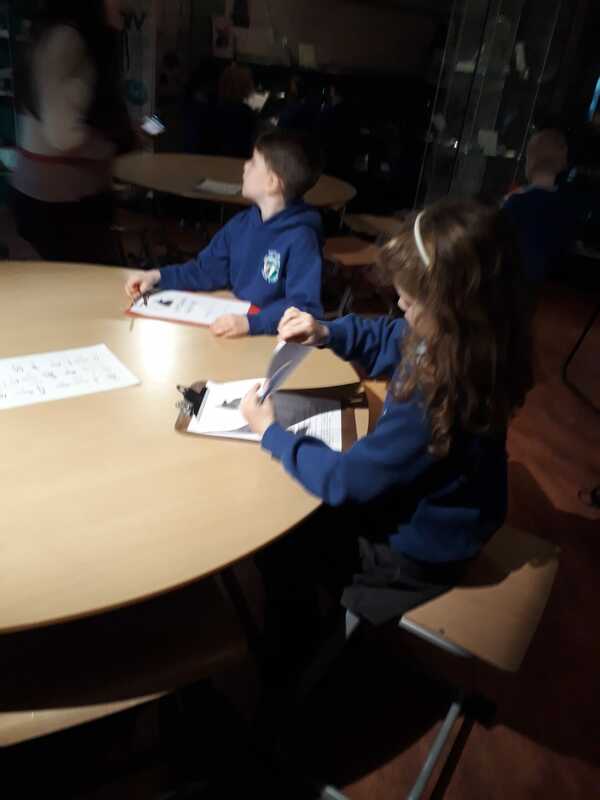 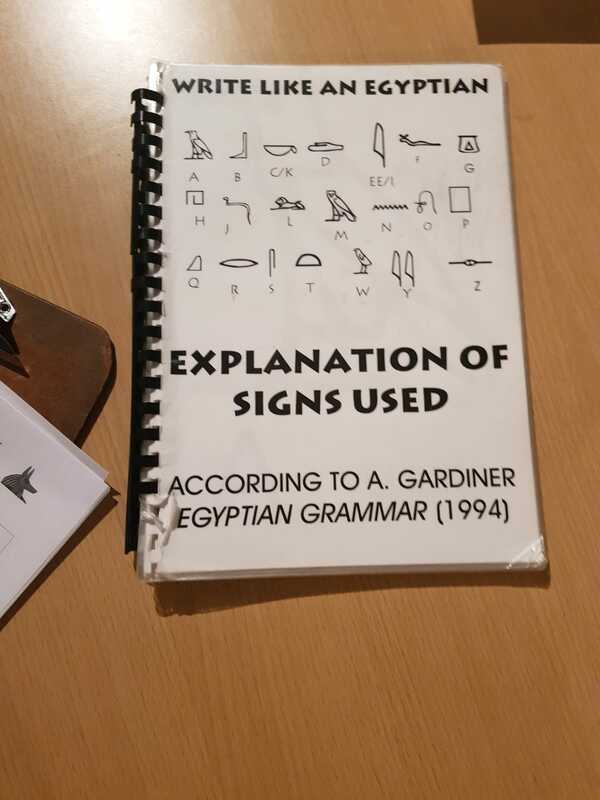 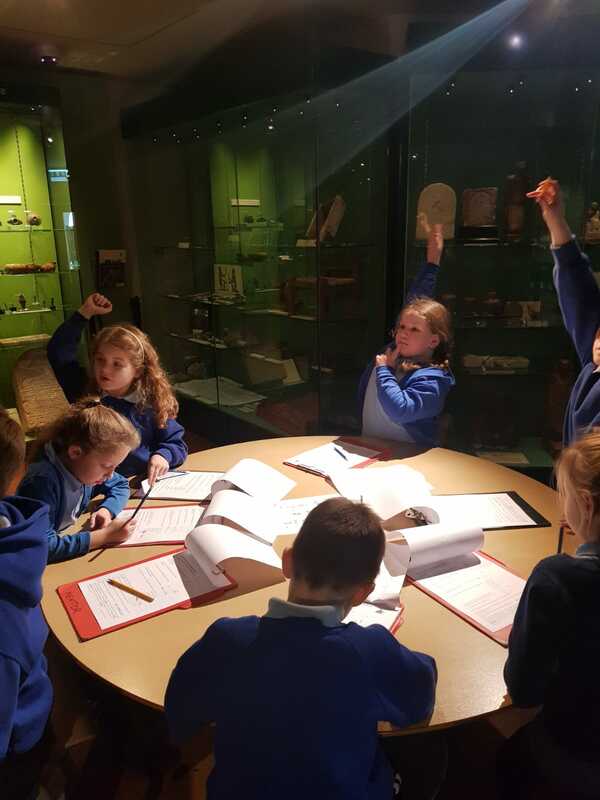 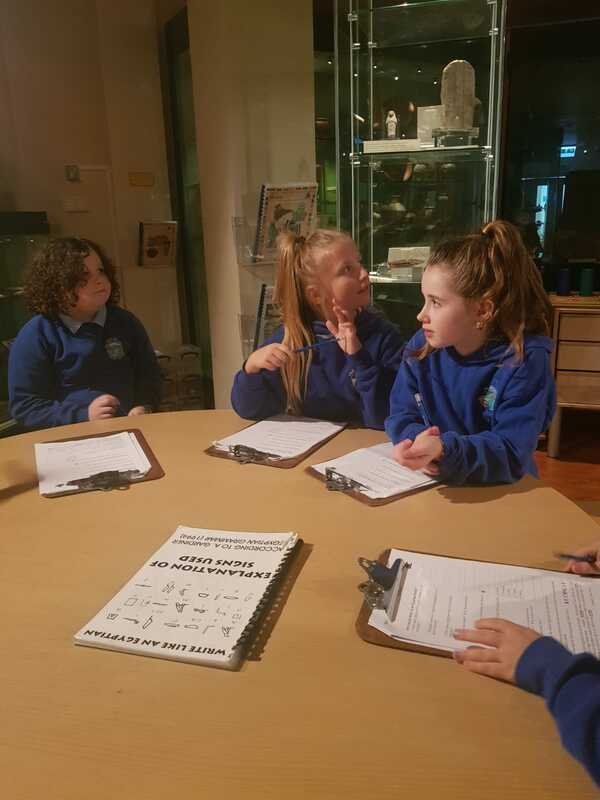 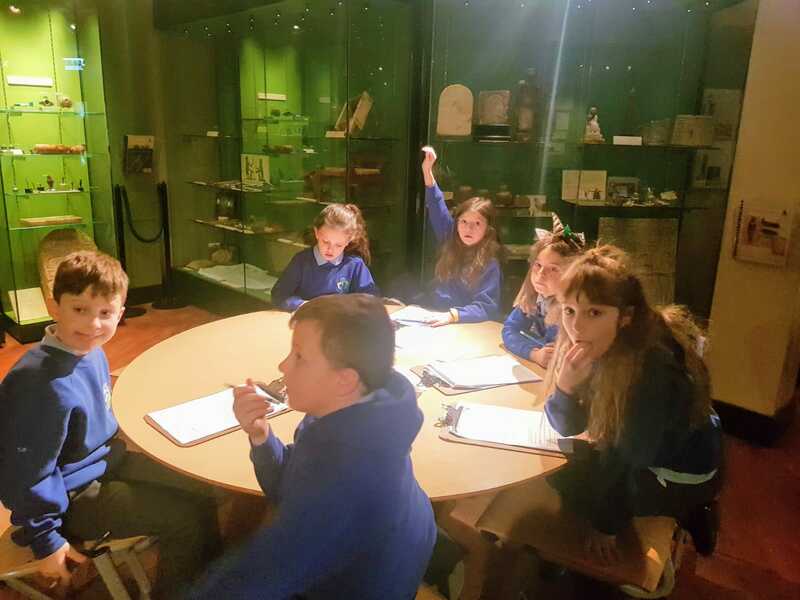 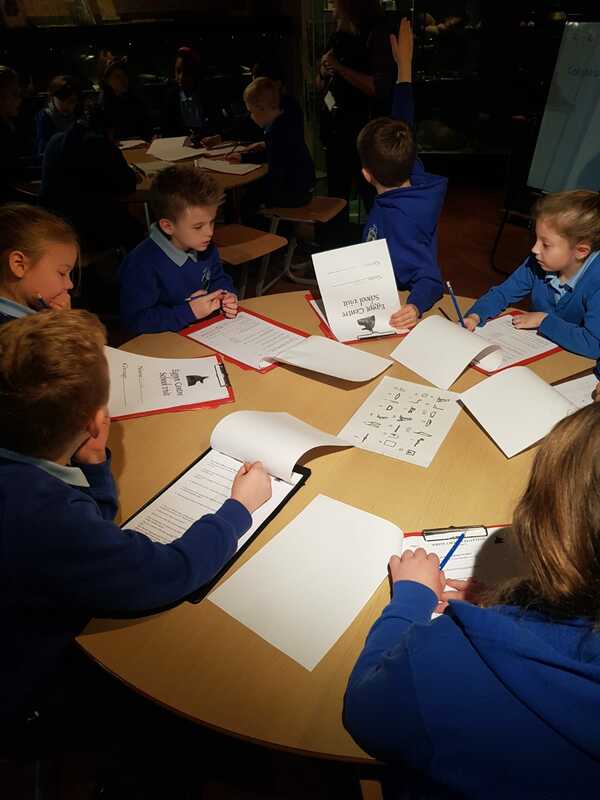 As well as learning to write their name and finding out why vowels were often omitted they were also taught the religious significance of hieroglyphic writing. 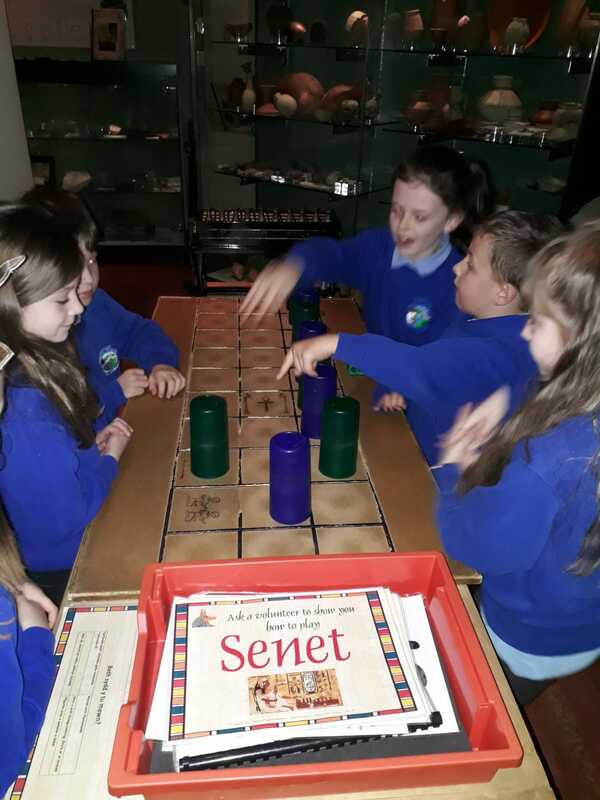 After that, the children were treated to a game of ‘Senet’. 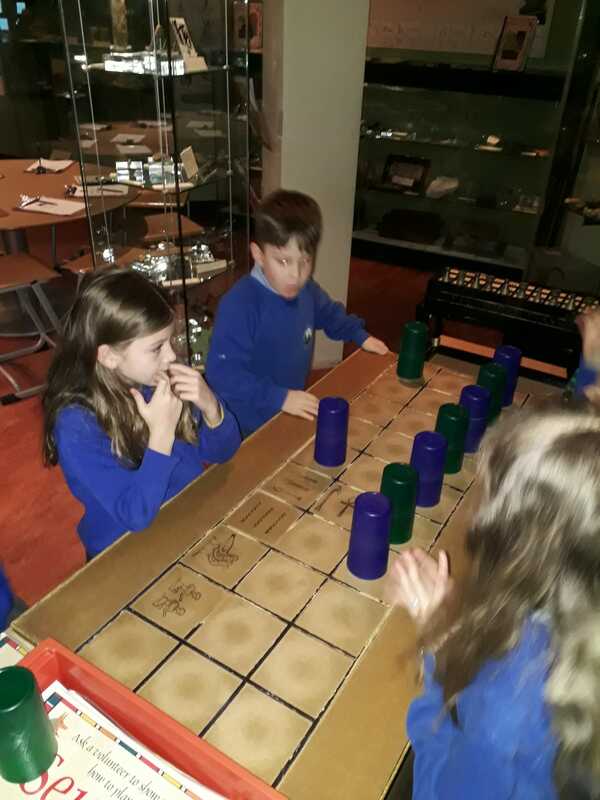 This was one of the most popular games in ancient Egypt and was played on a day-to-day basis by both the rich and the poor. 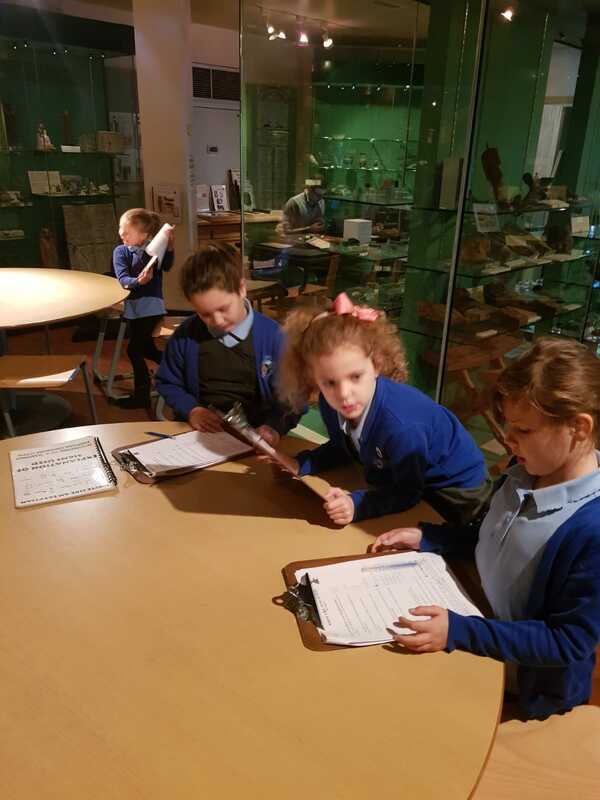 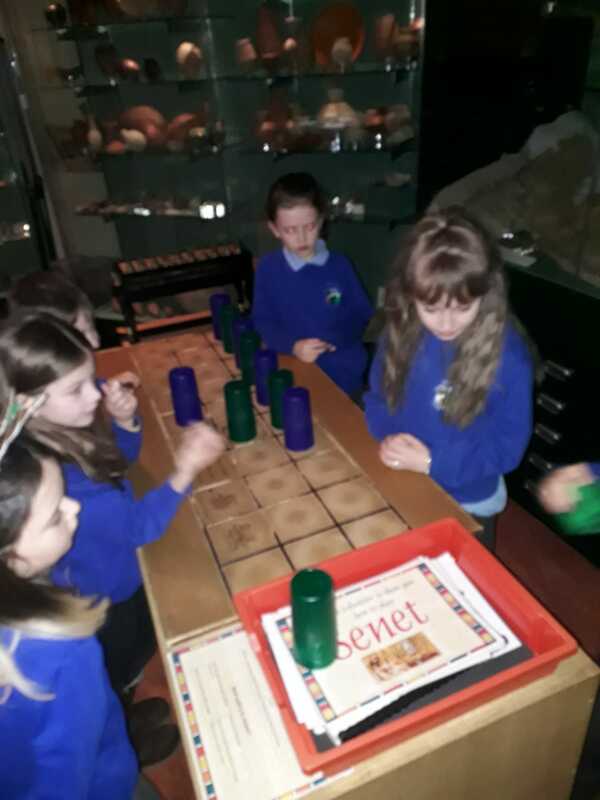 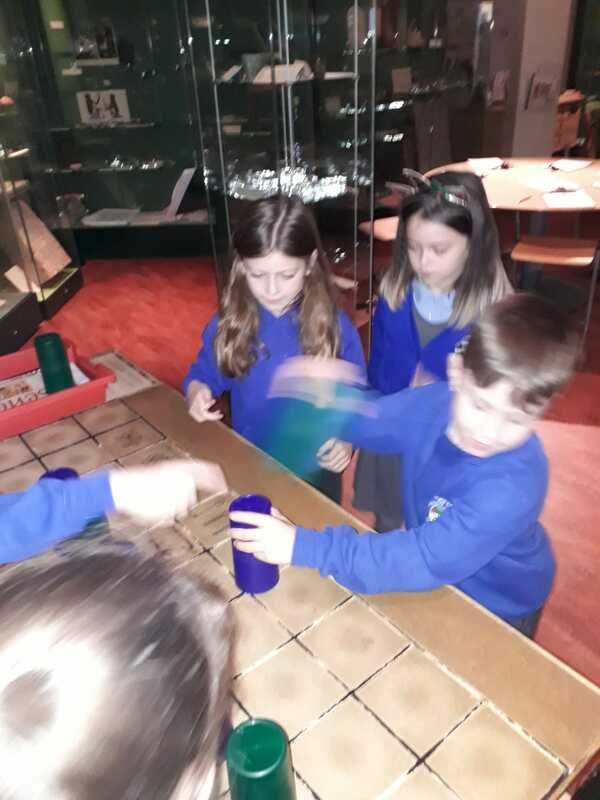 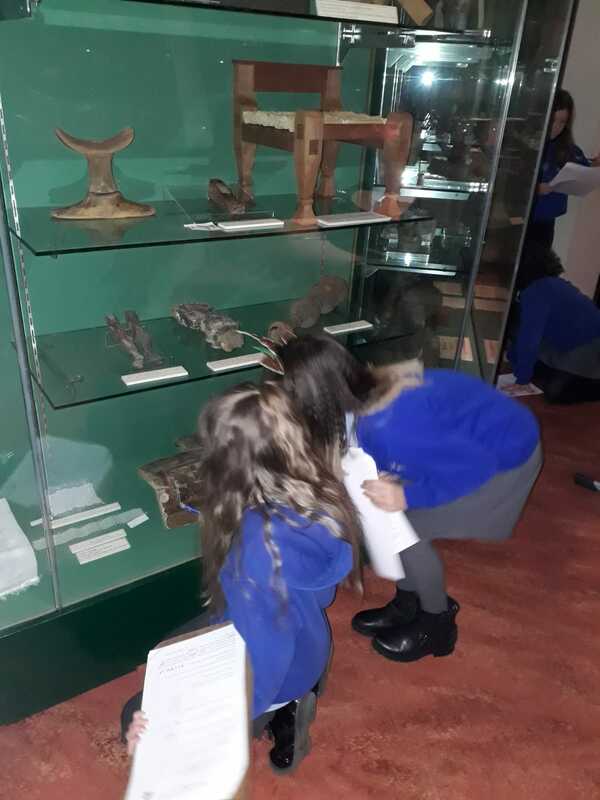 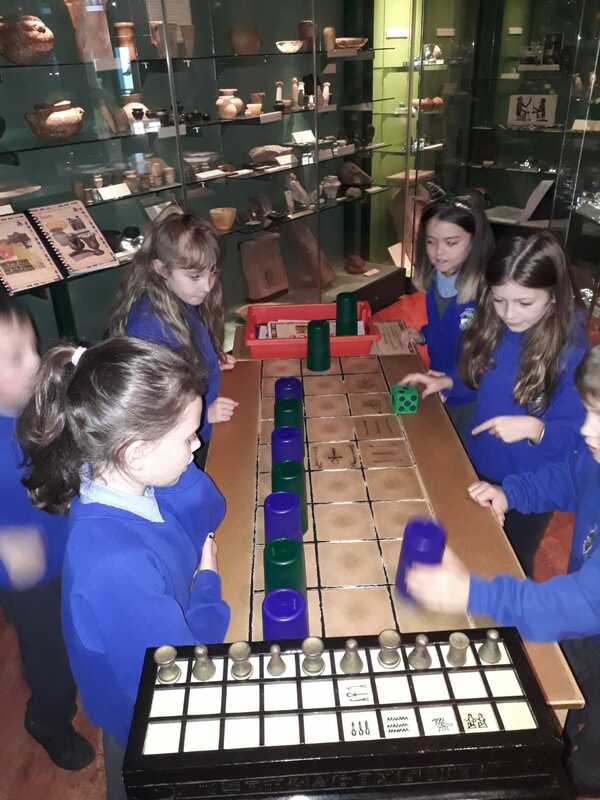 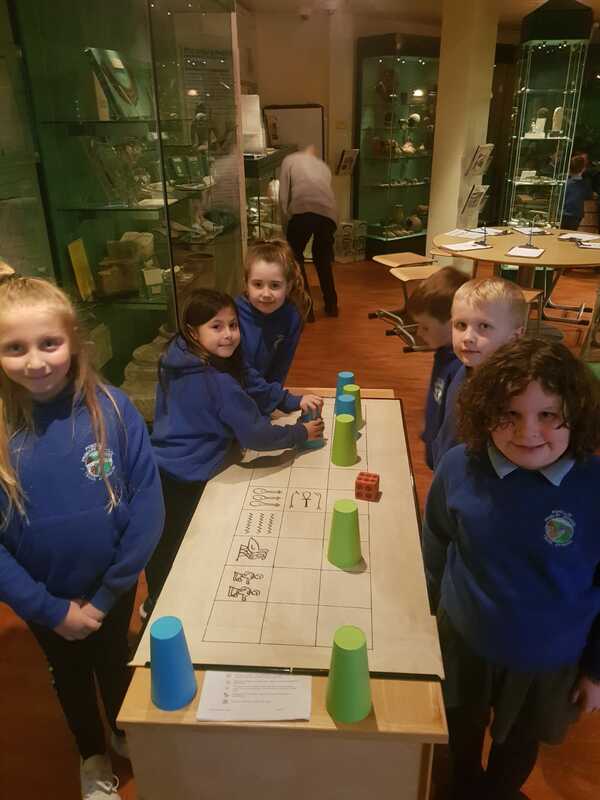 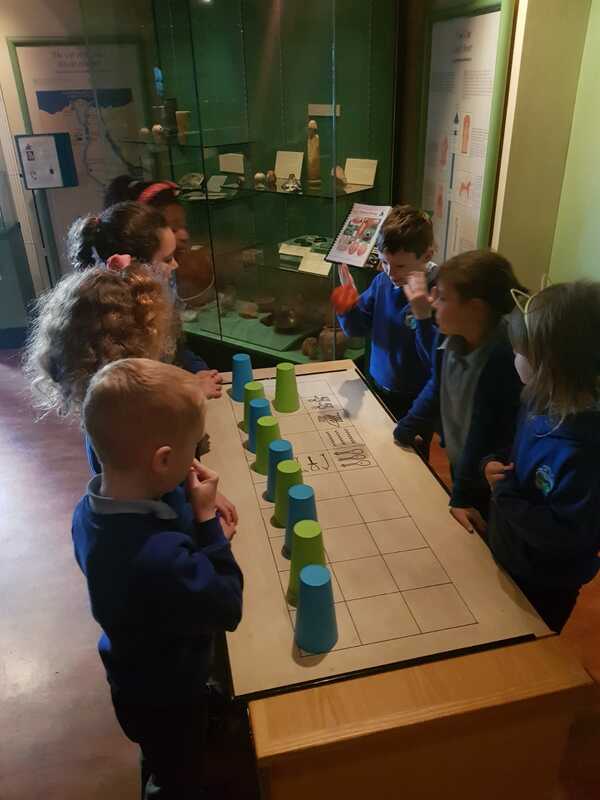 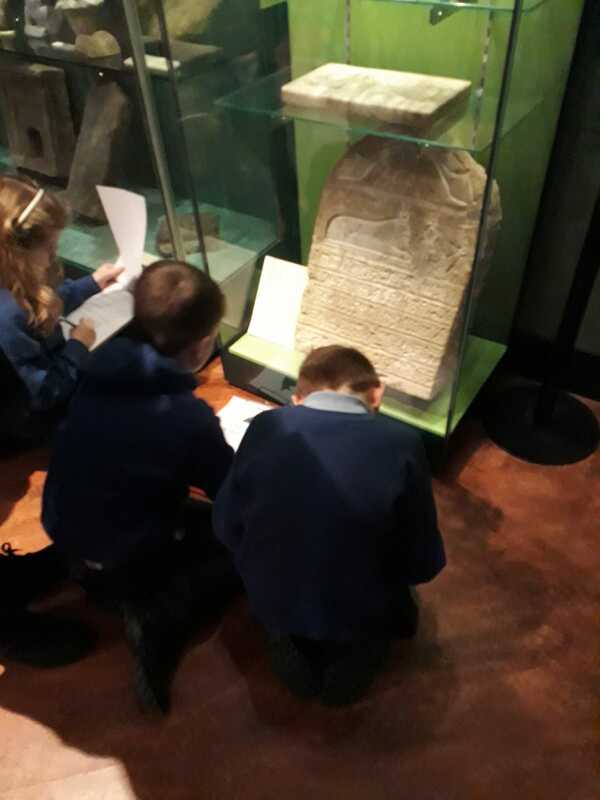 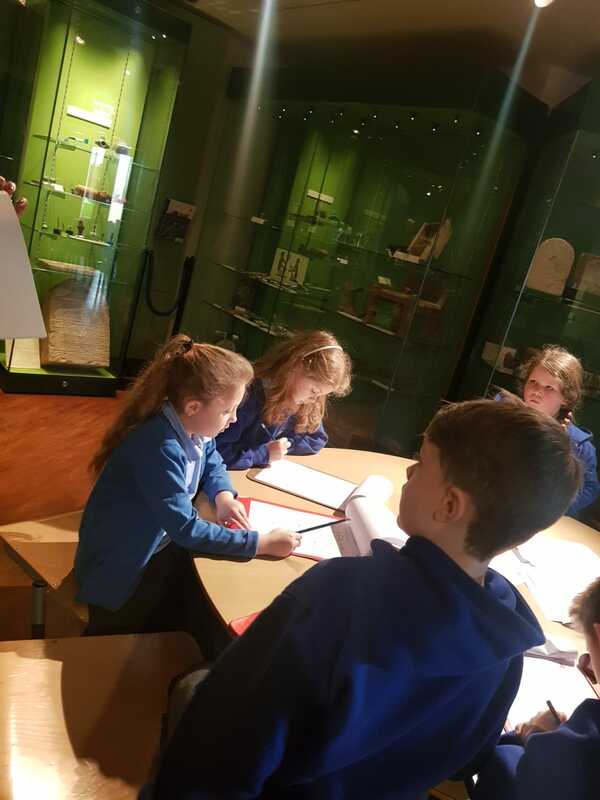 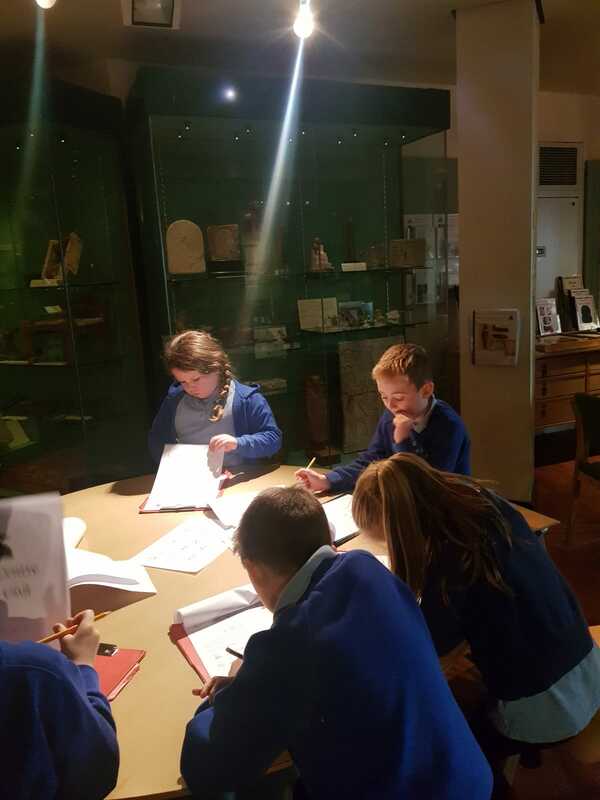 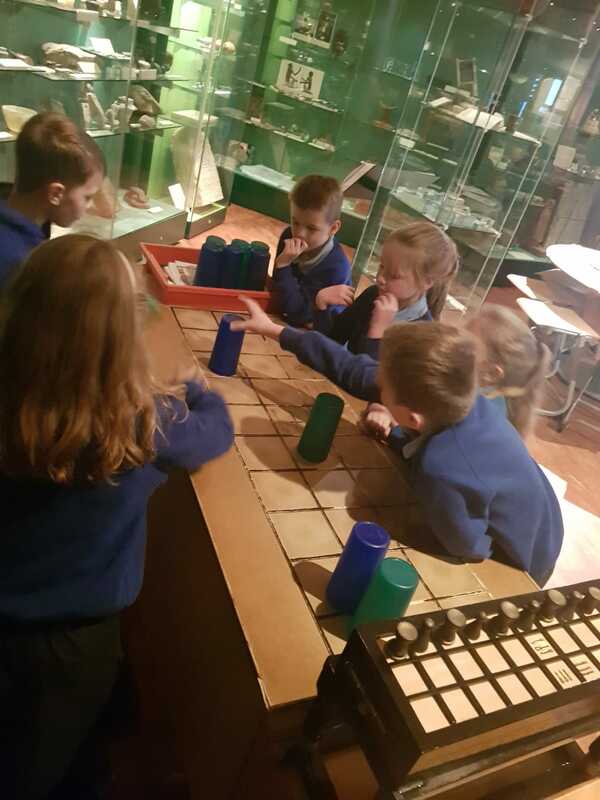 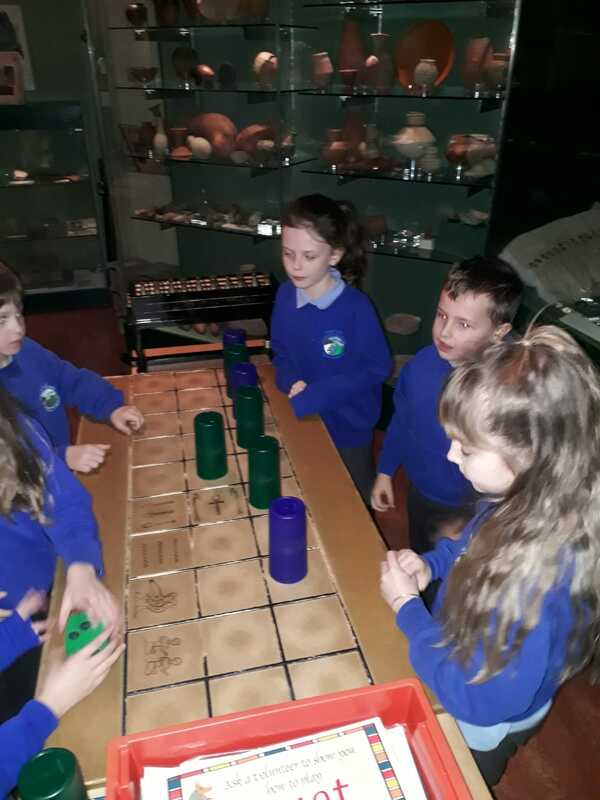 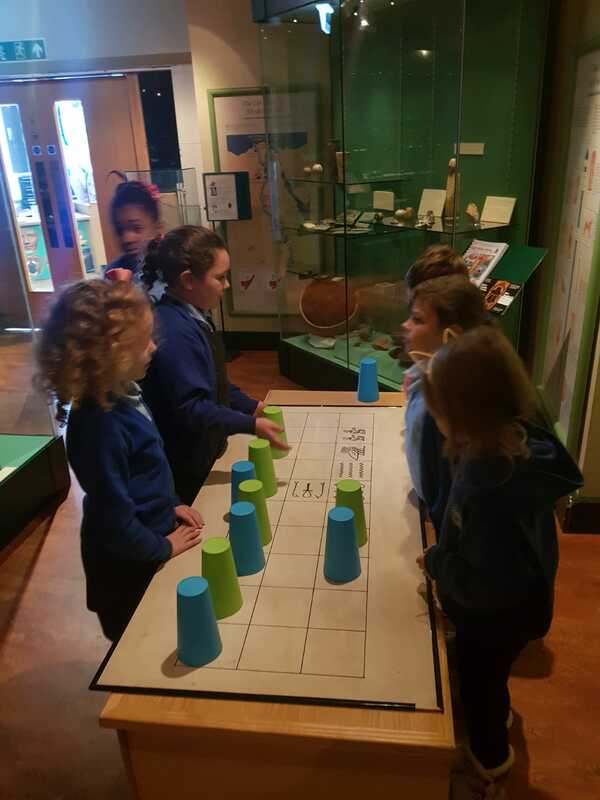 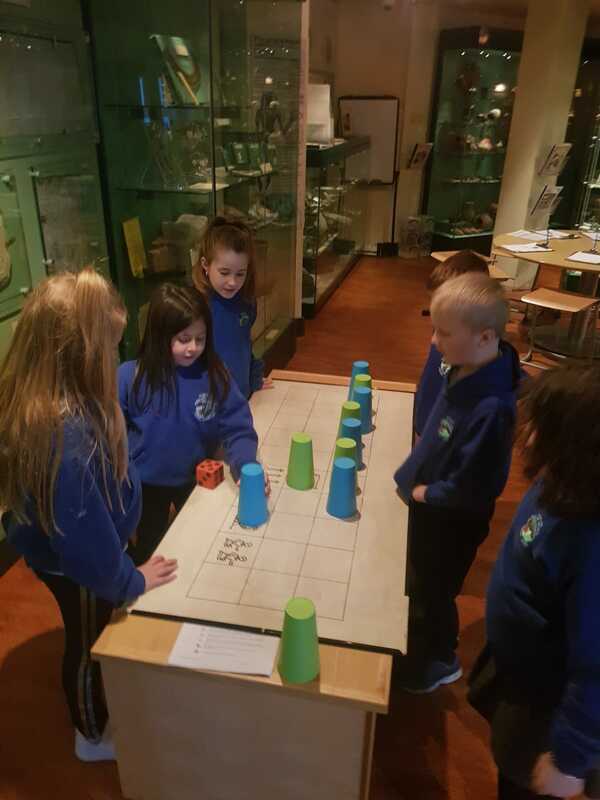 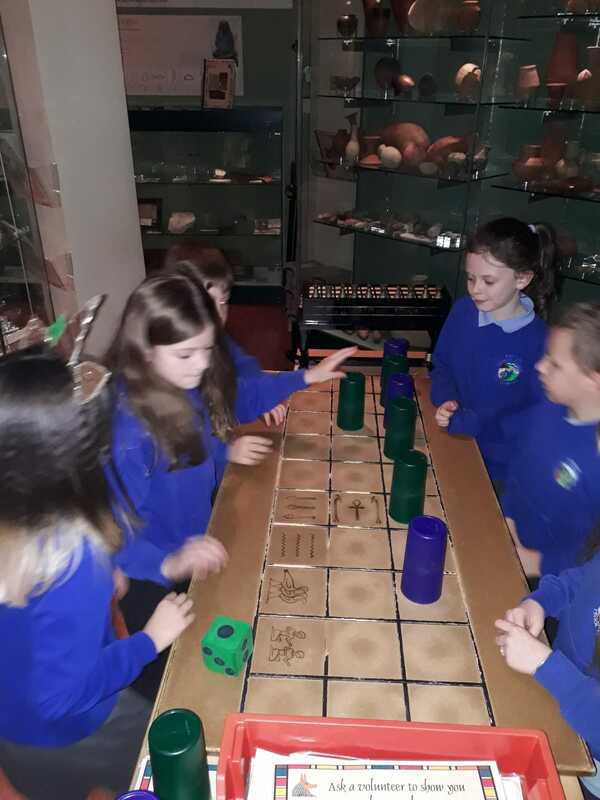 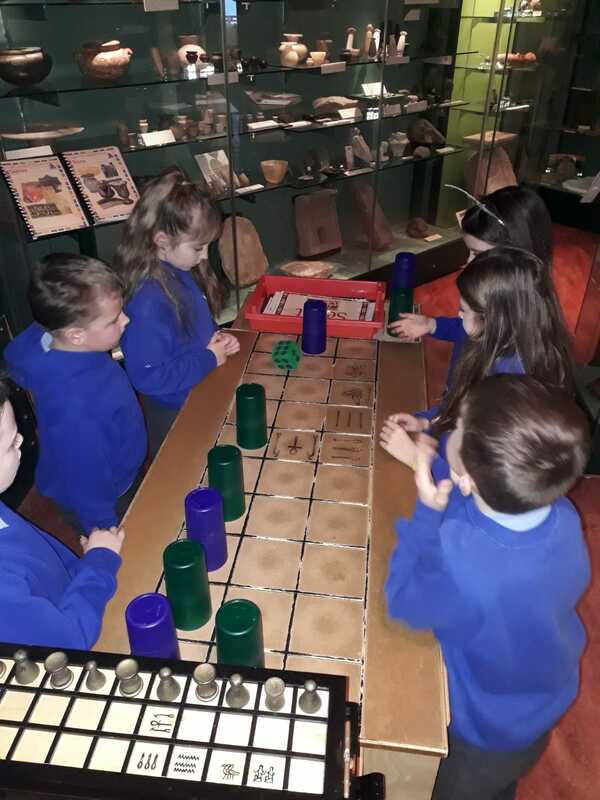 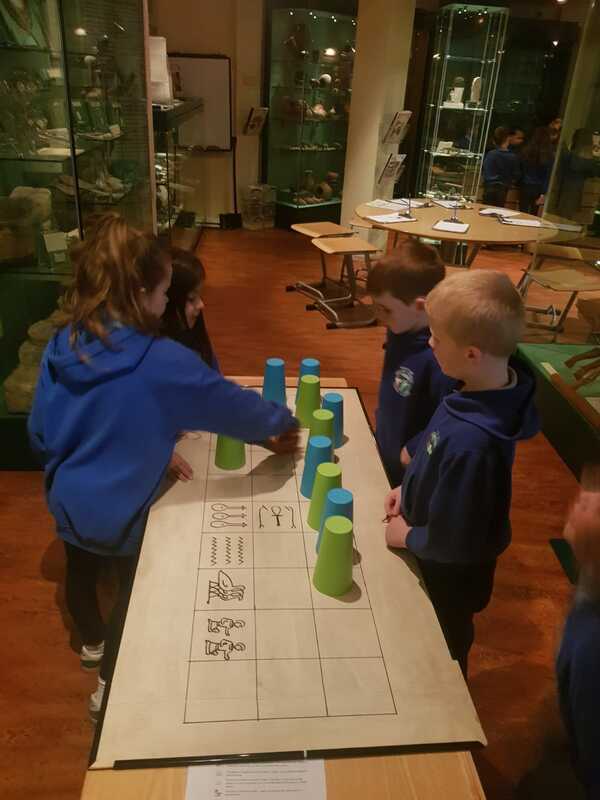 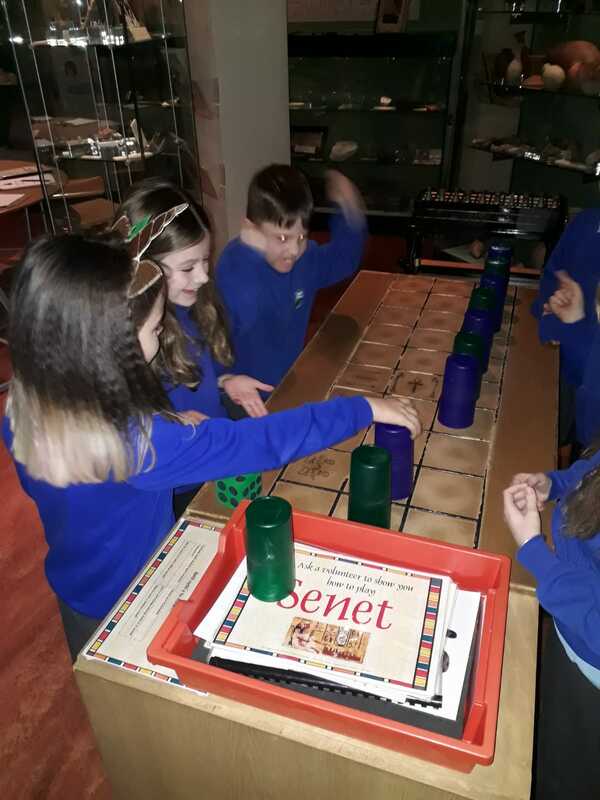 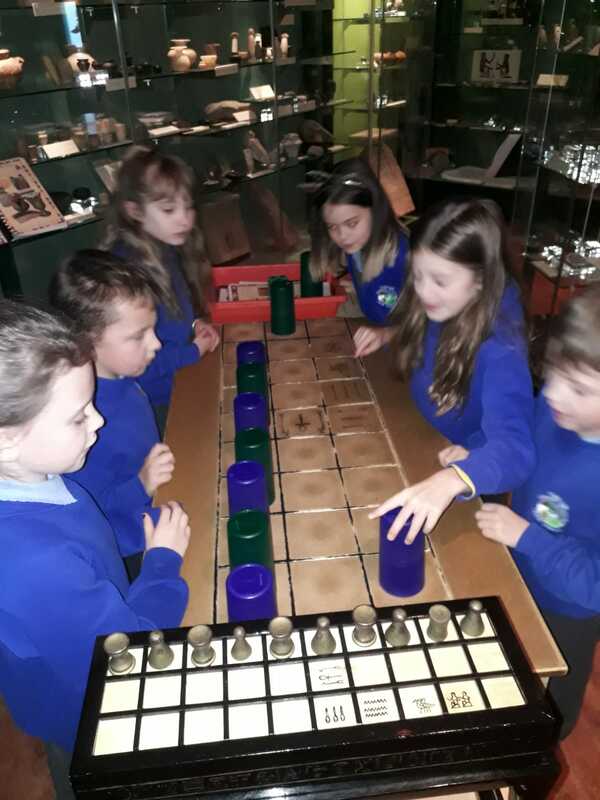 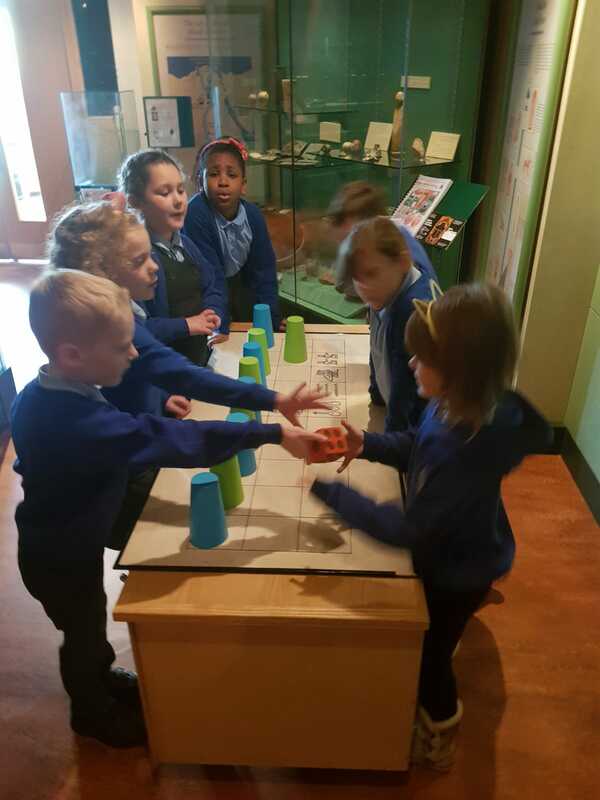 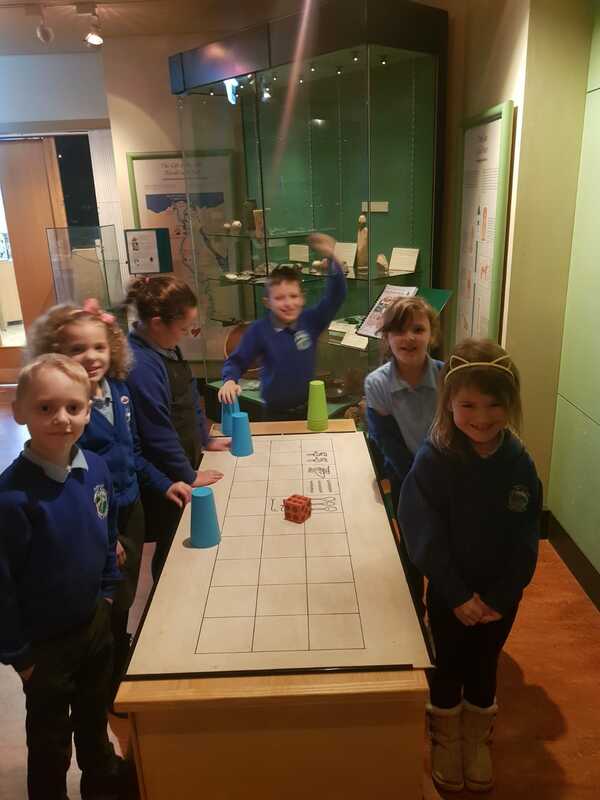 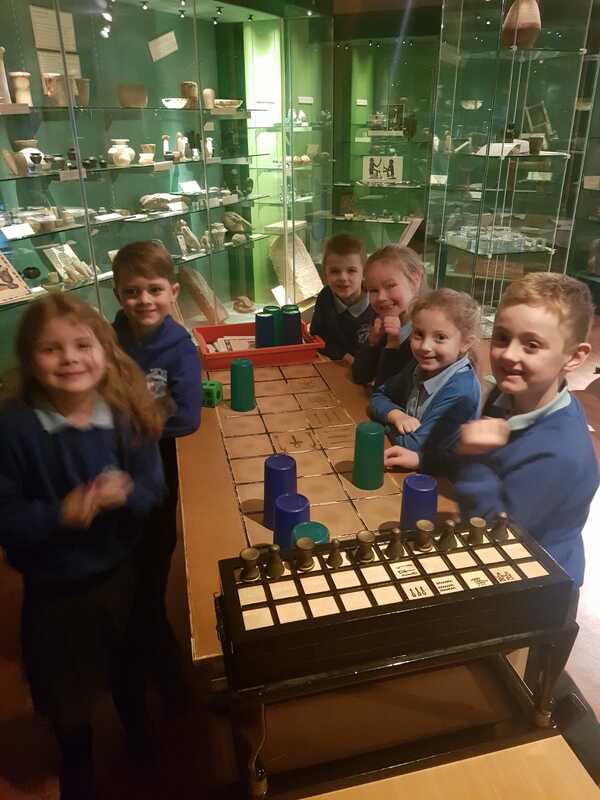 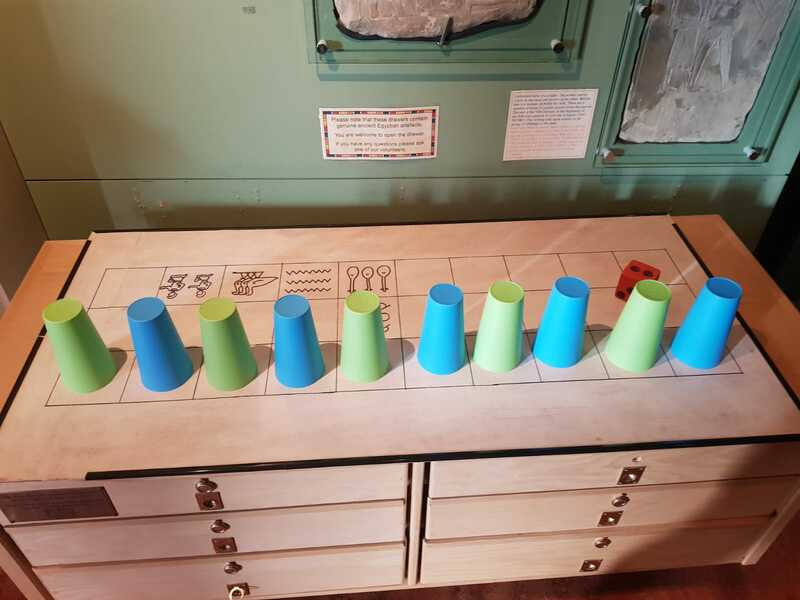 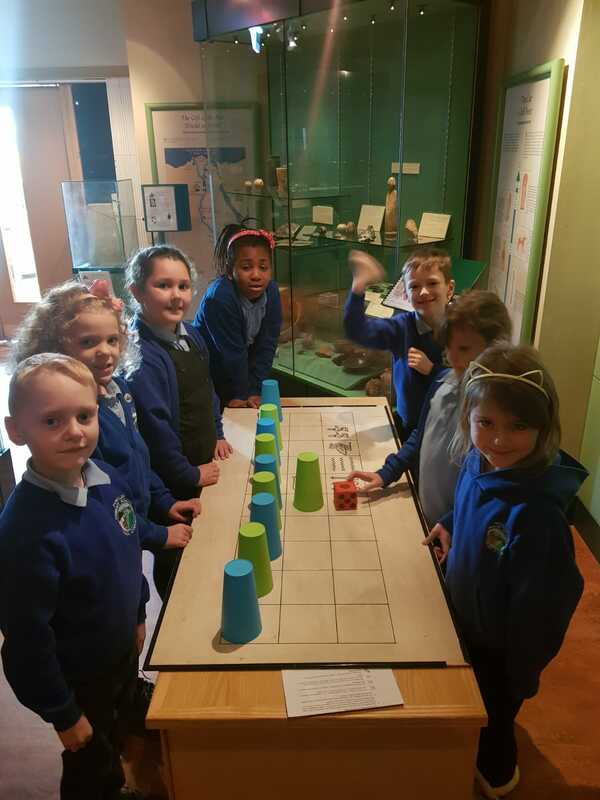 We found out that Tutankhamun had four sets of senet boards in his tomb and we were lucky enough to see a replica of one in the gallery today! 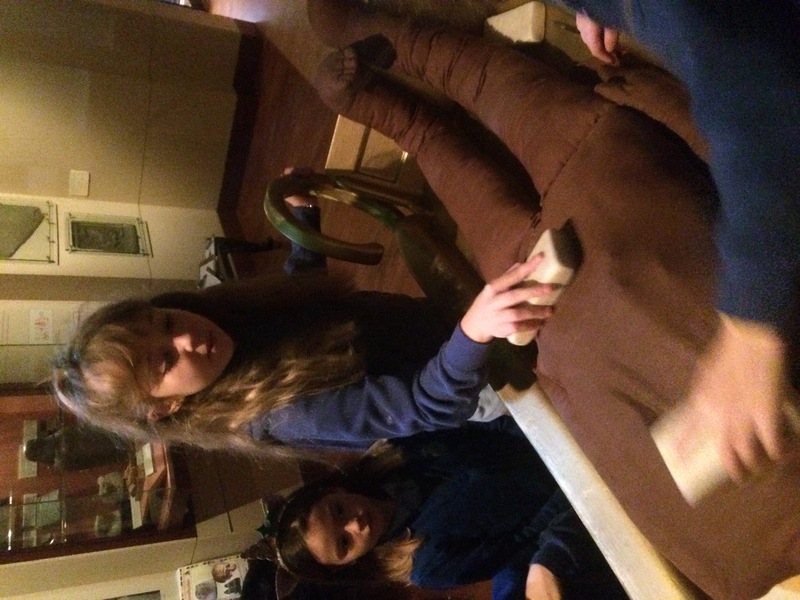 In the afternoon, the children explored the house of death where they took part in a further two activities. 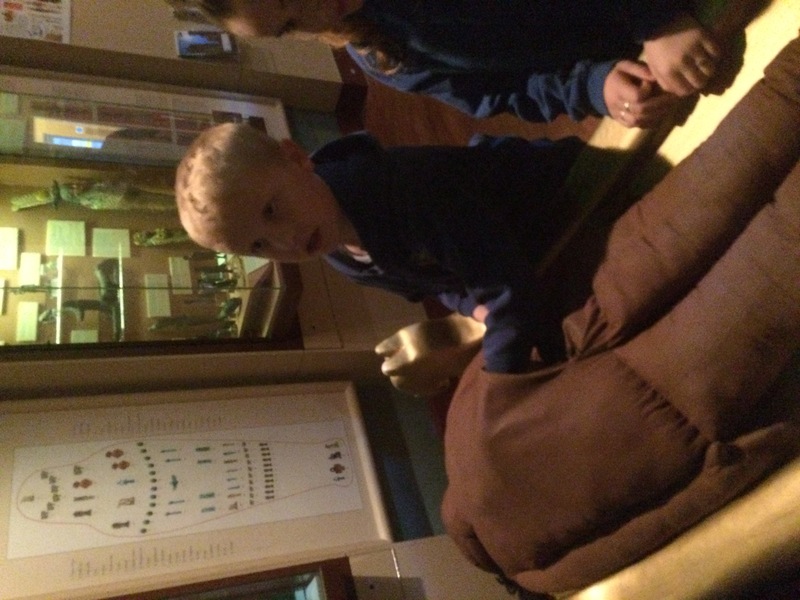 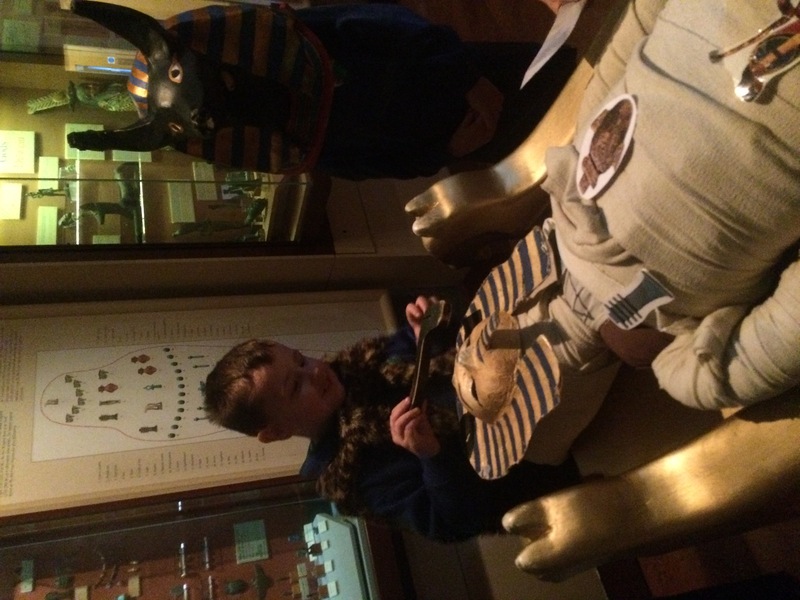 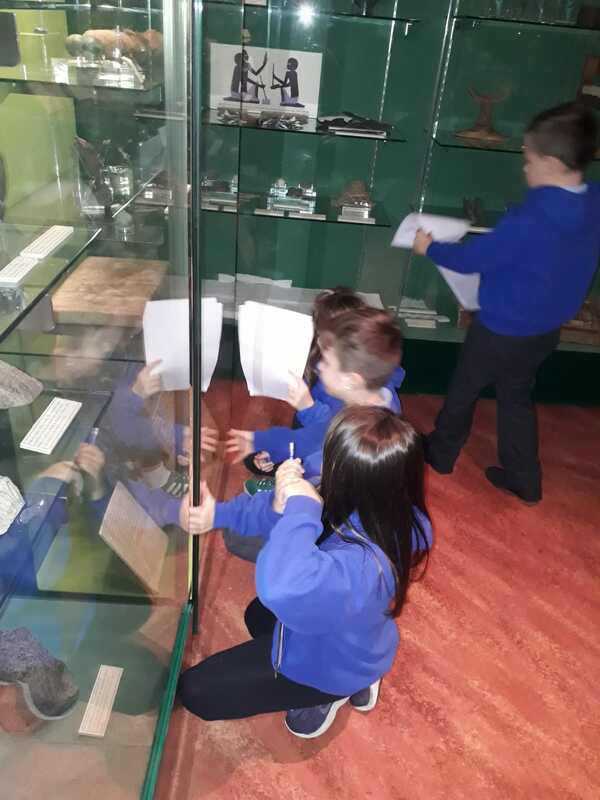 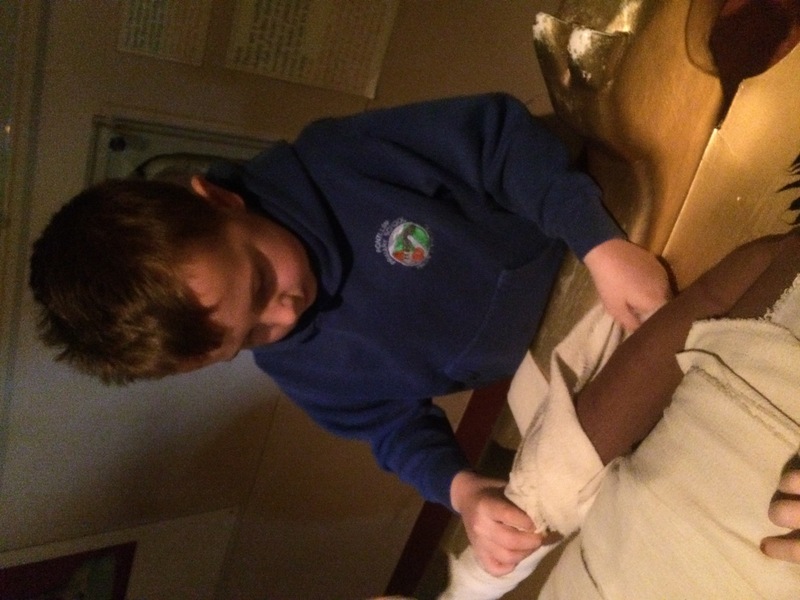 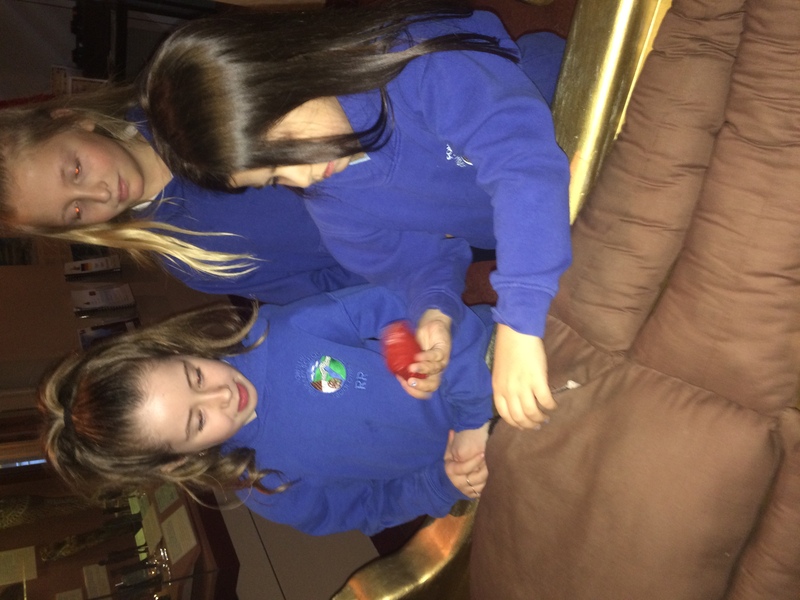 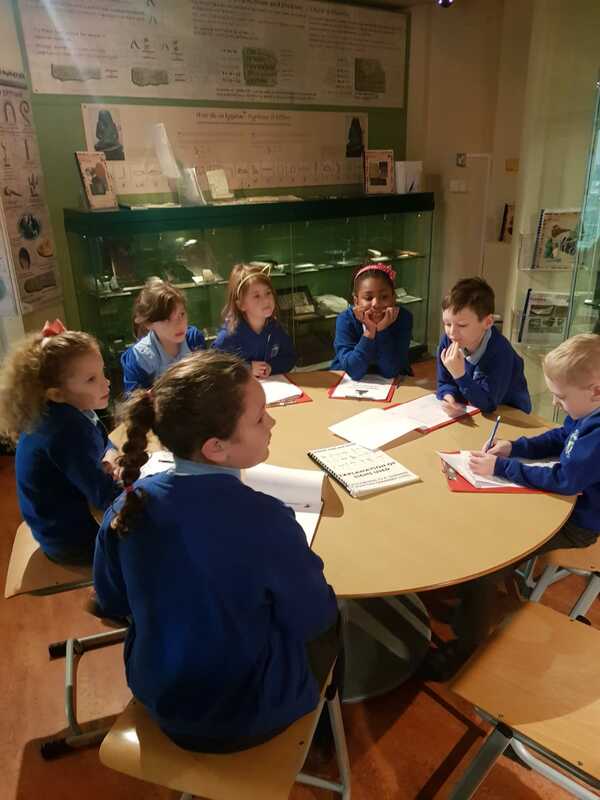 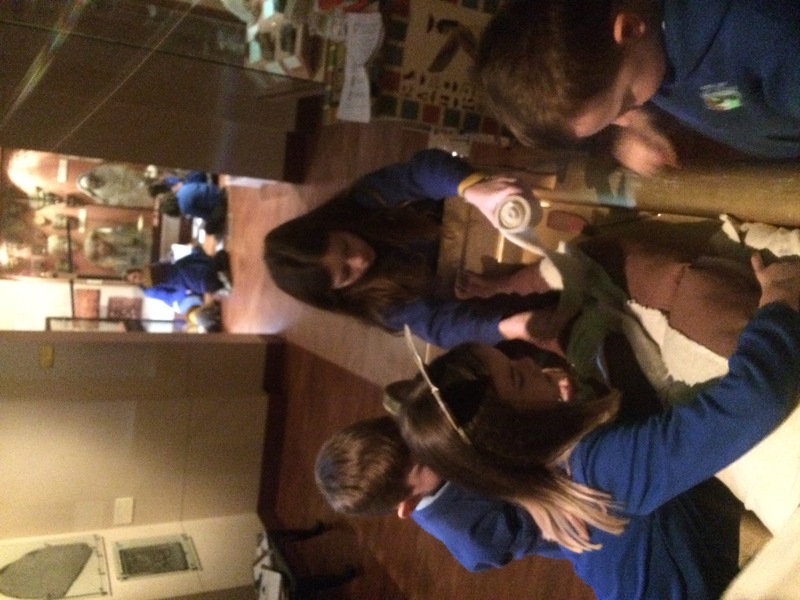 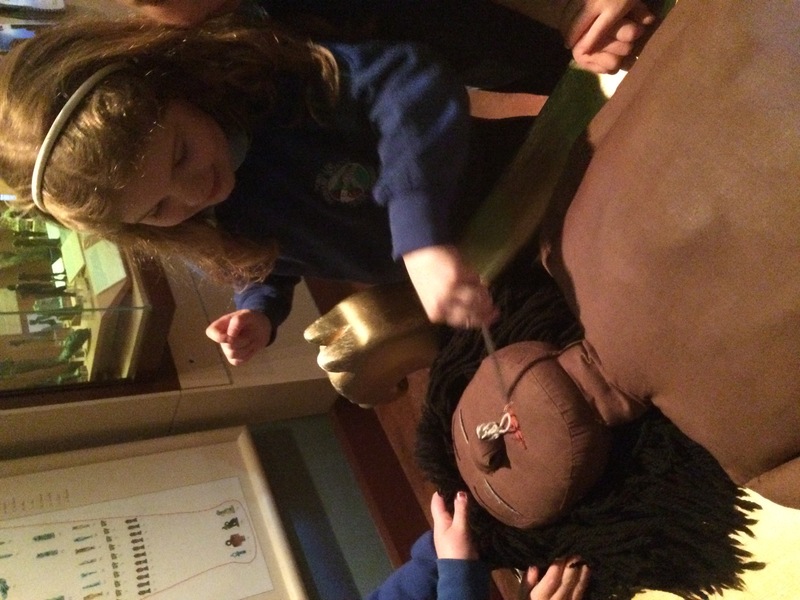 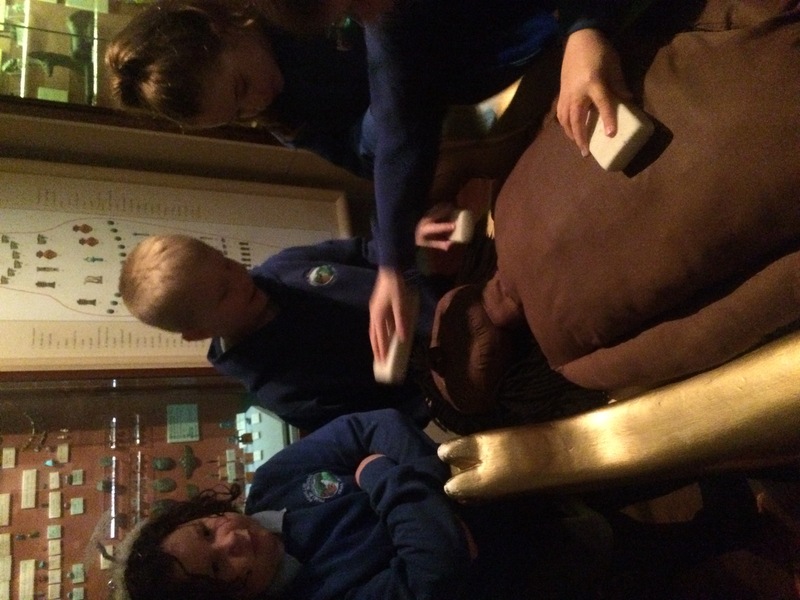 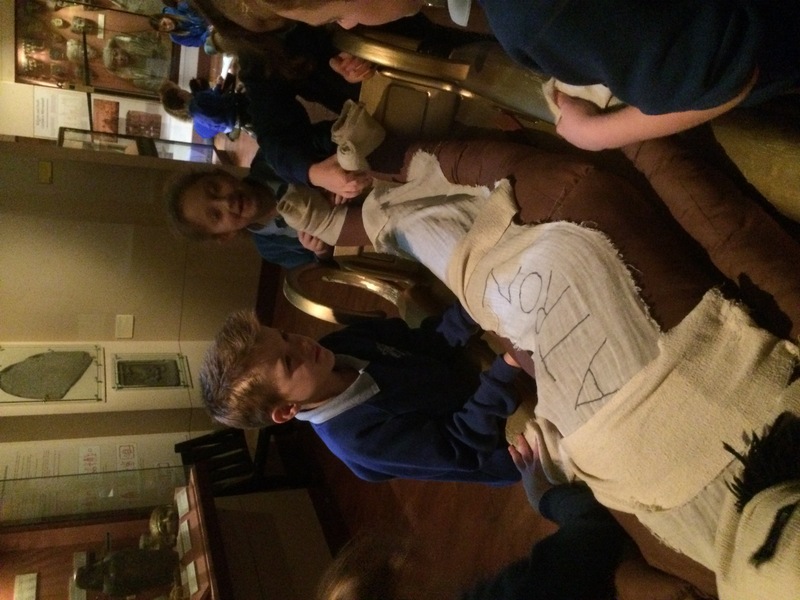 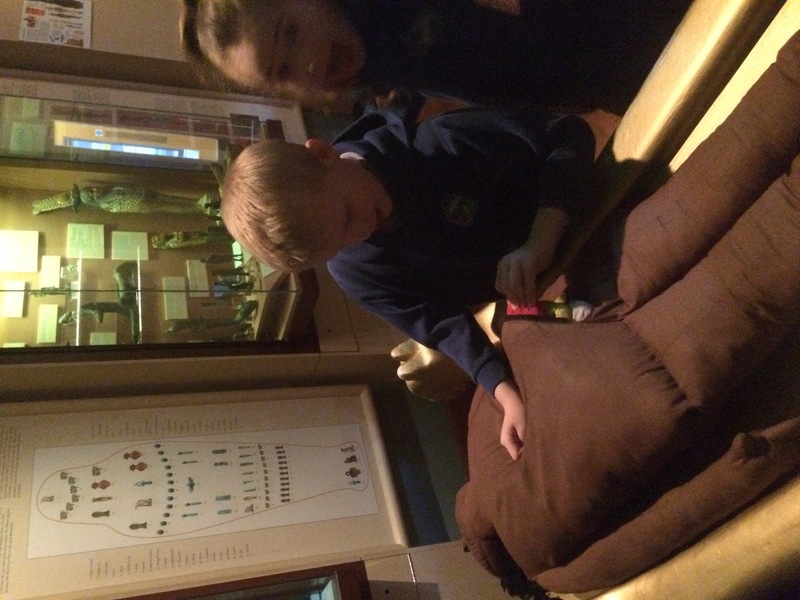 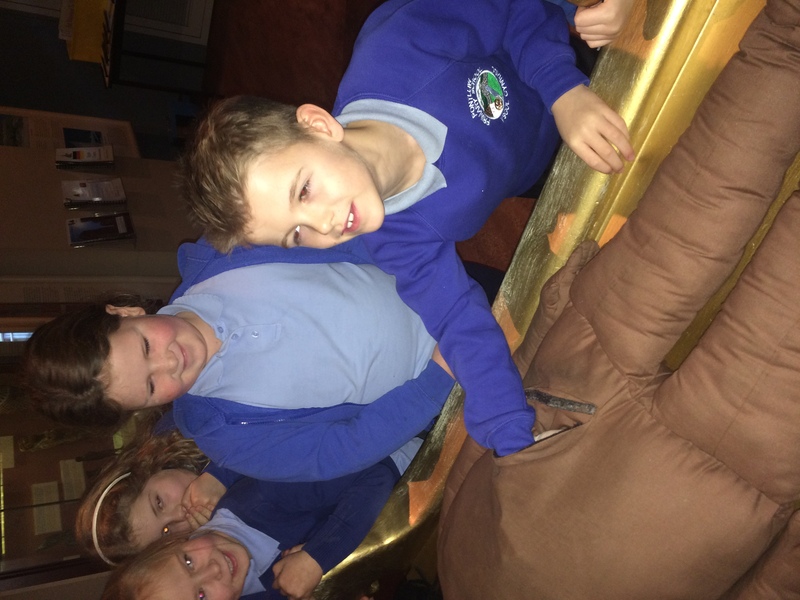 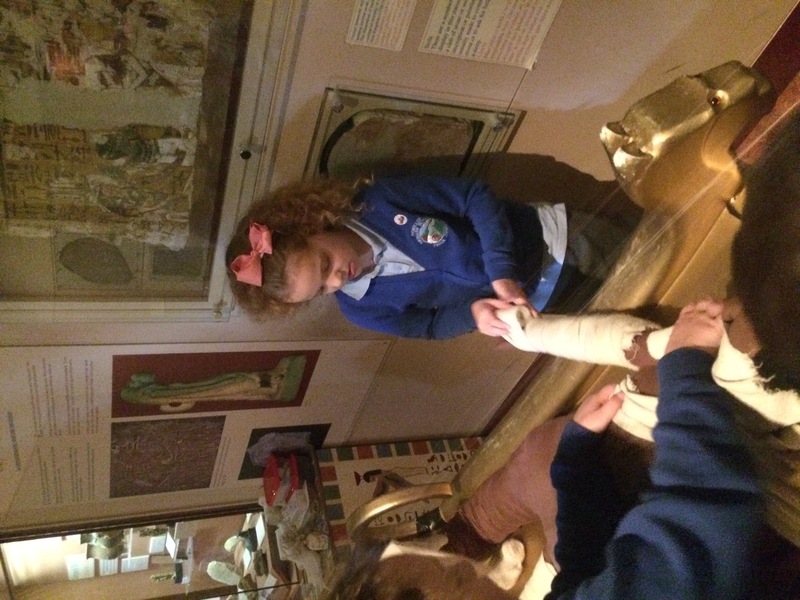 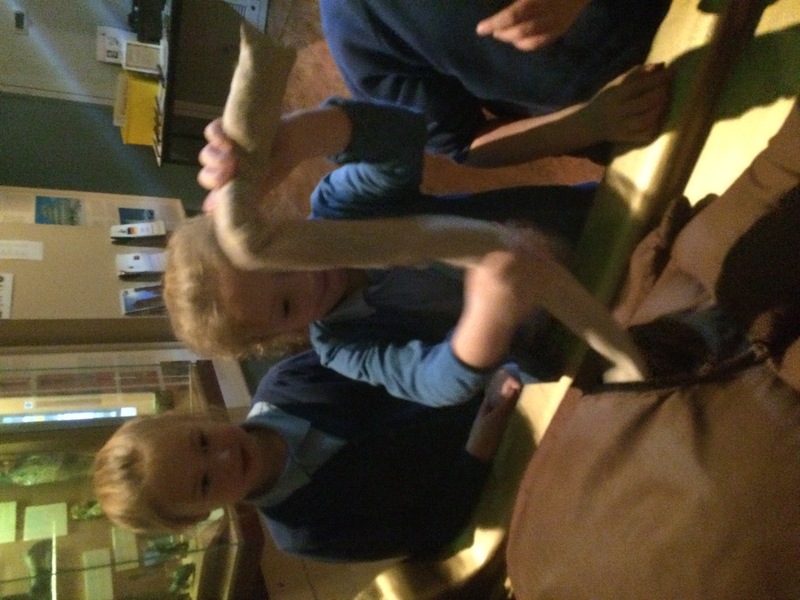 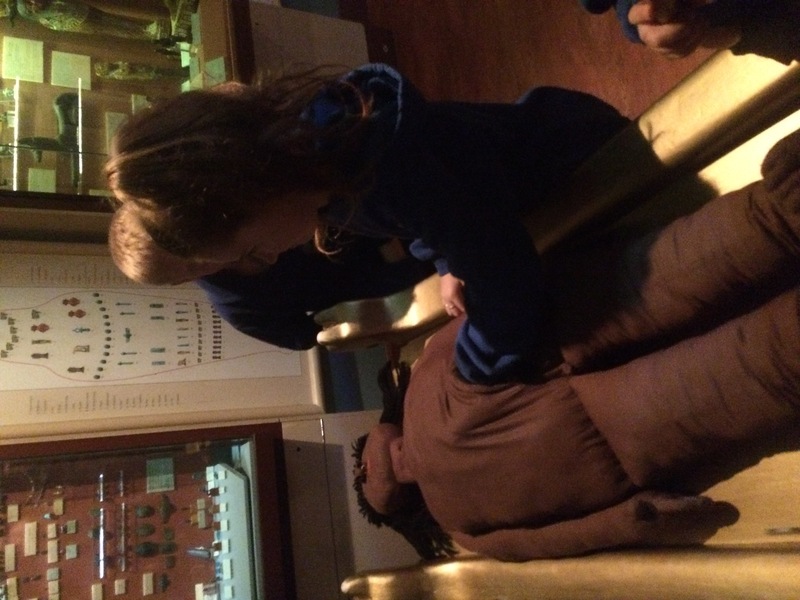 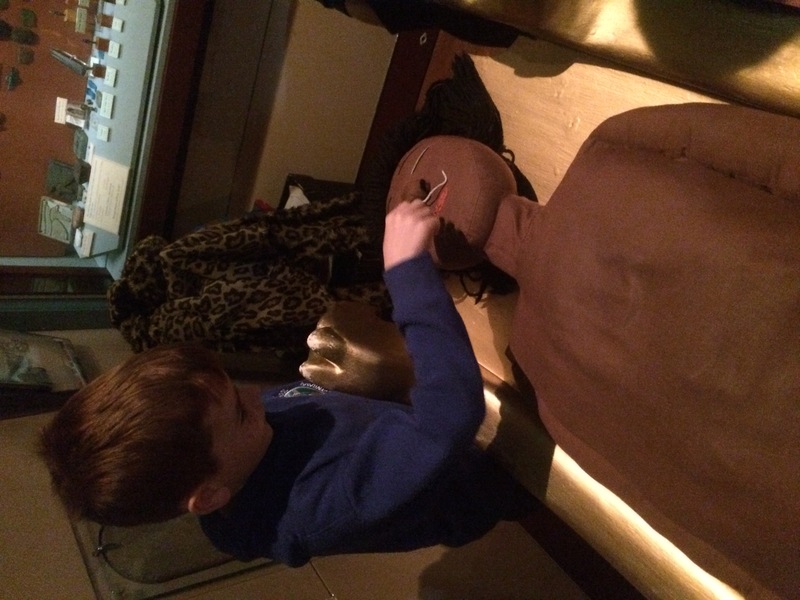 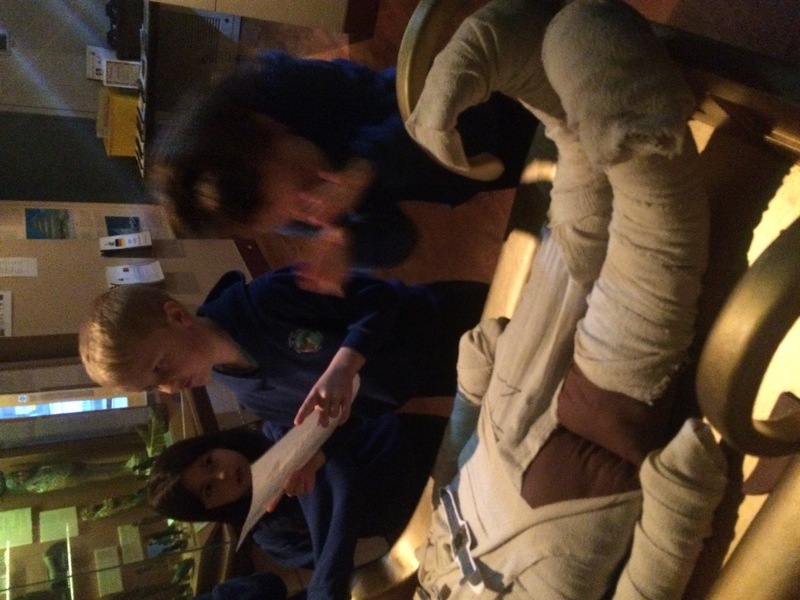 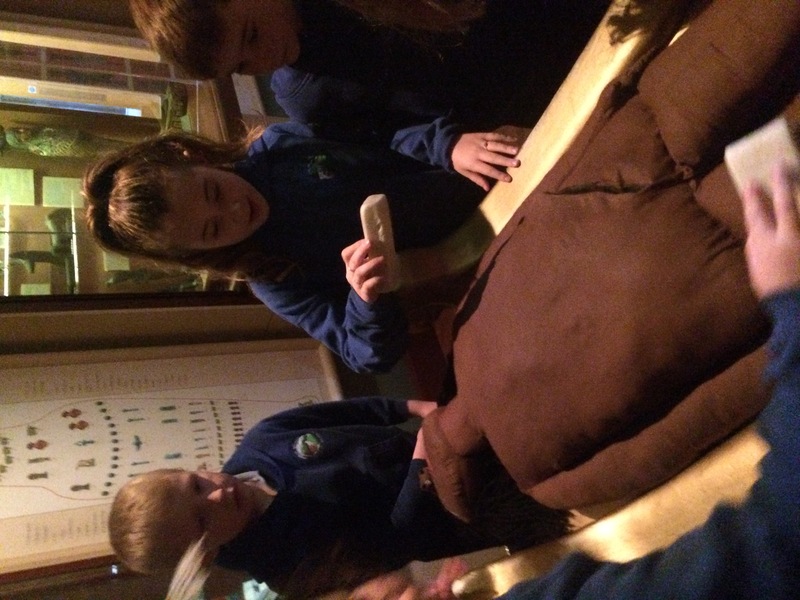 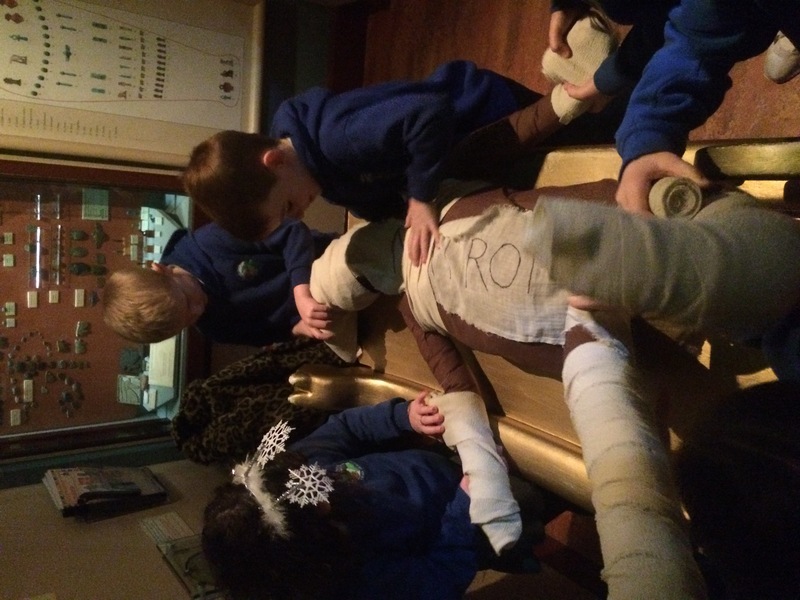 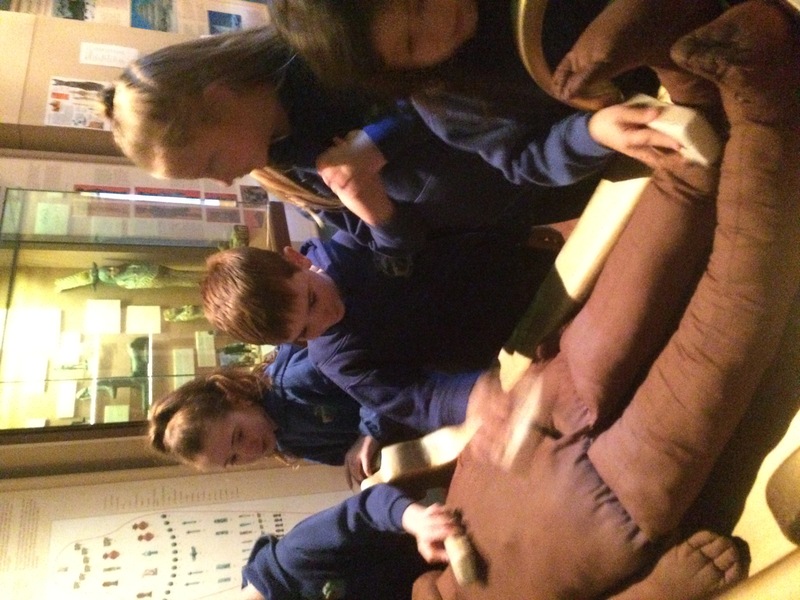 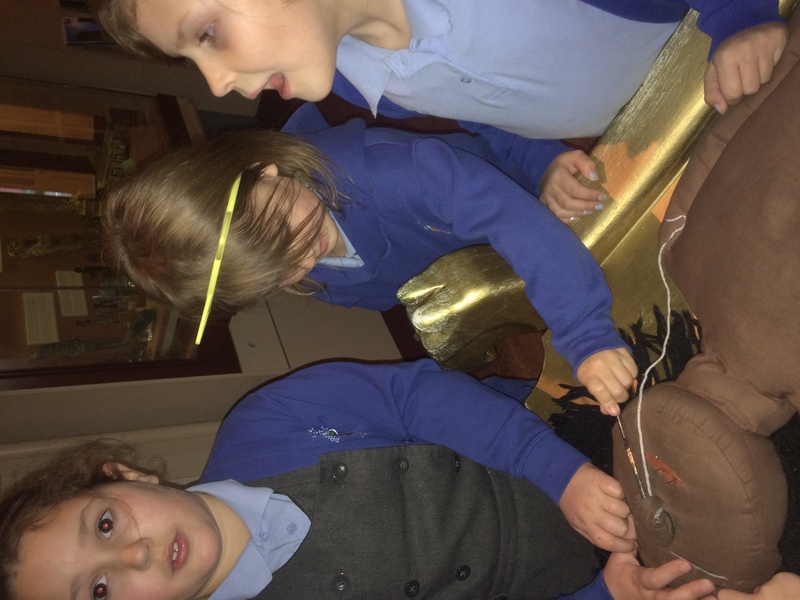 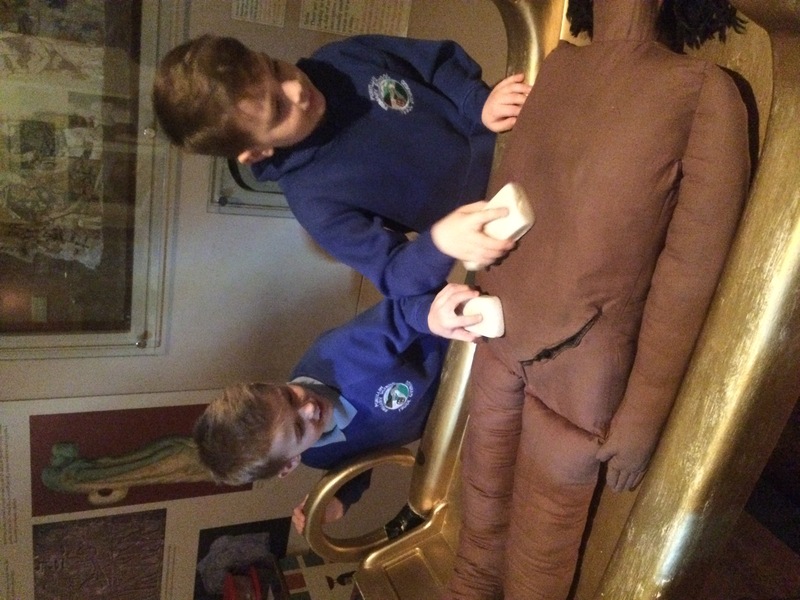 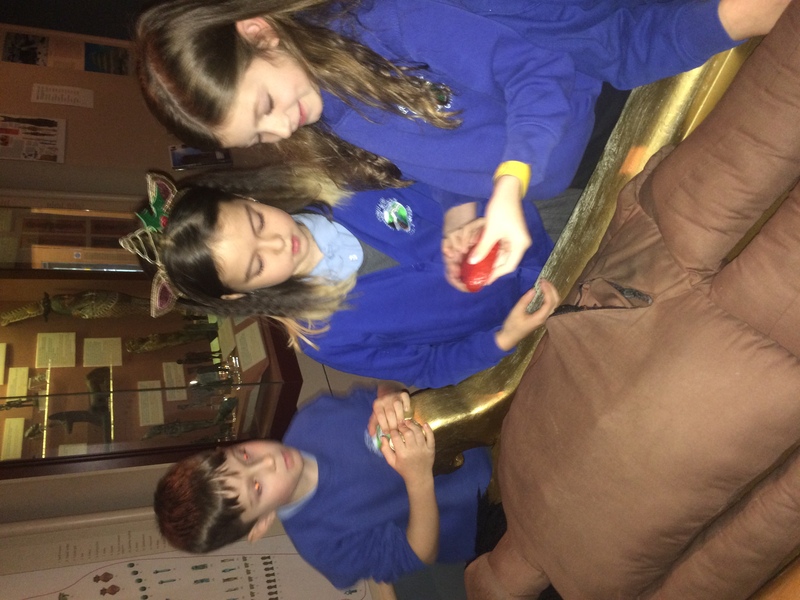 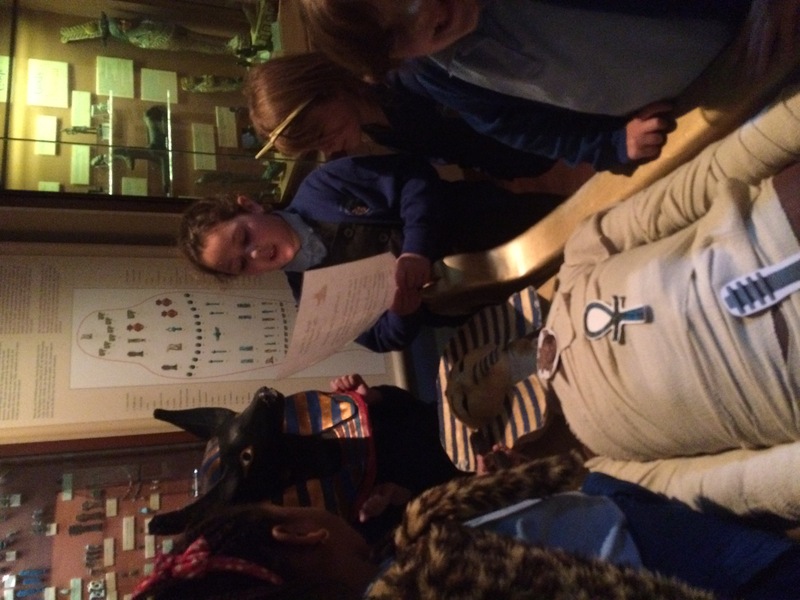 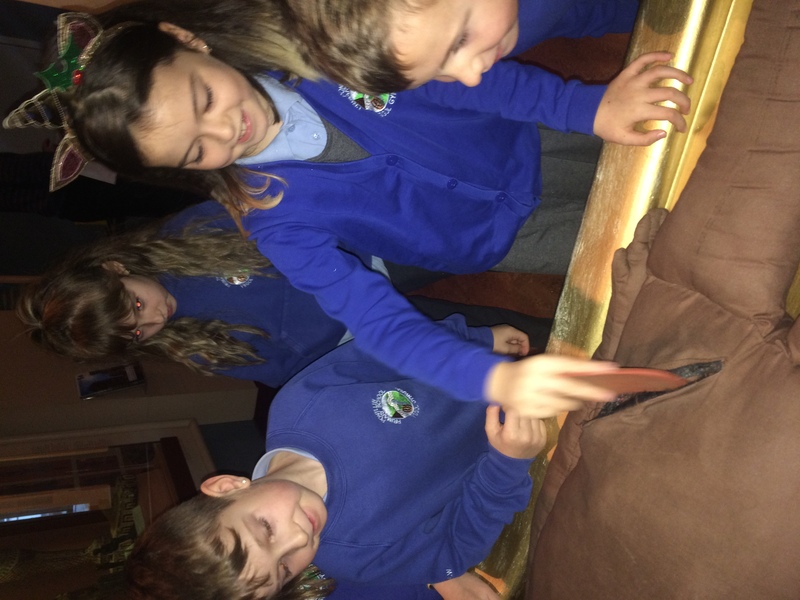 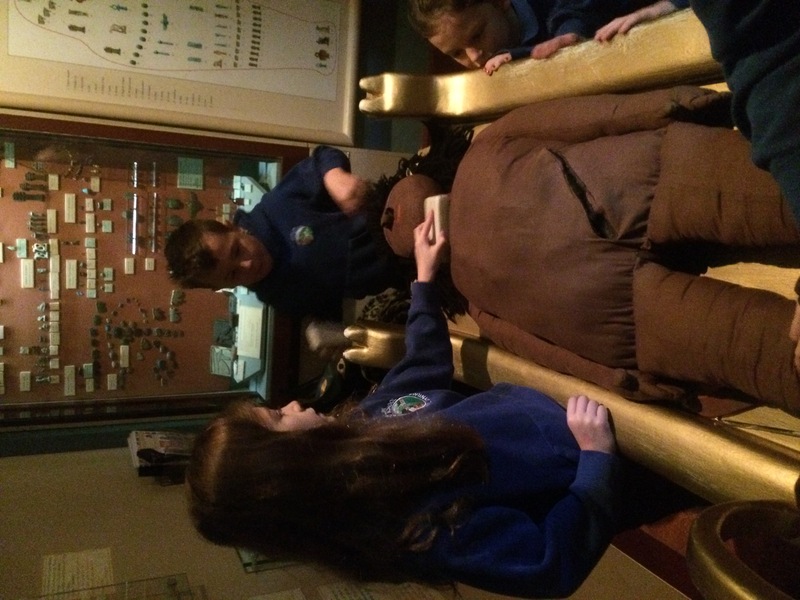 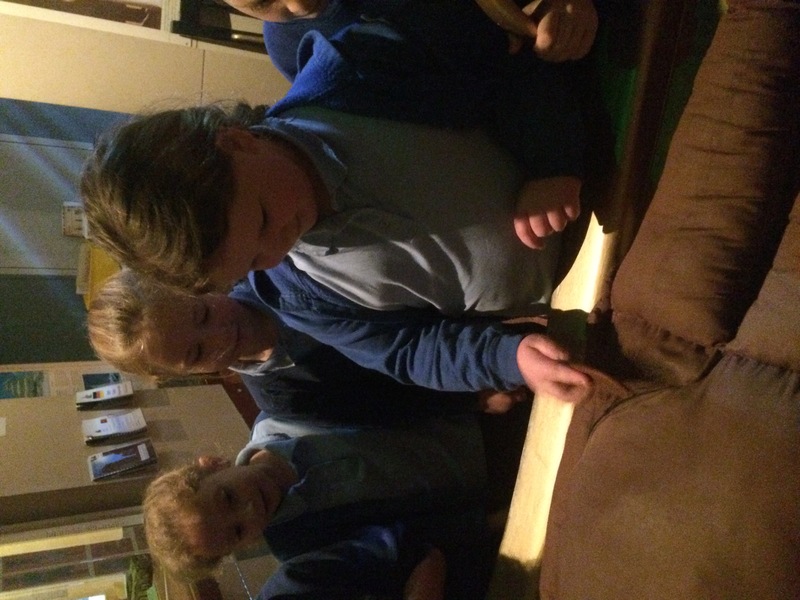 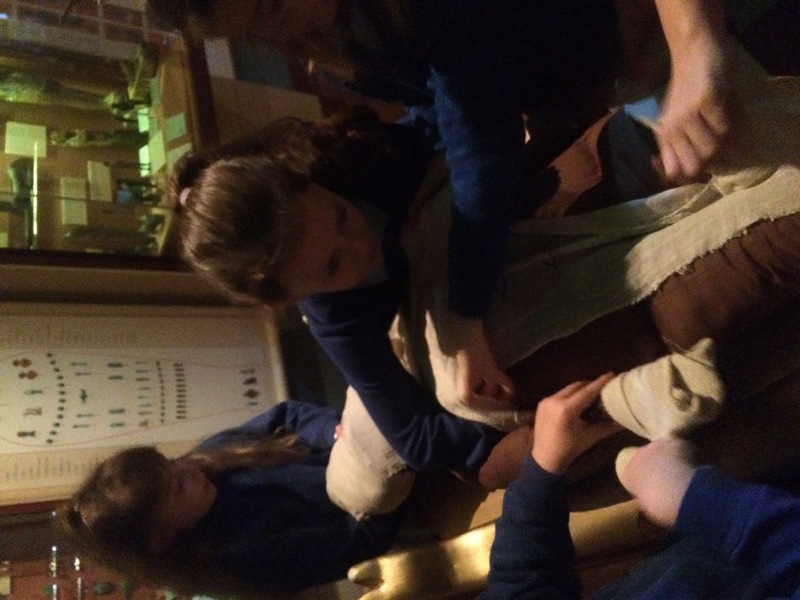 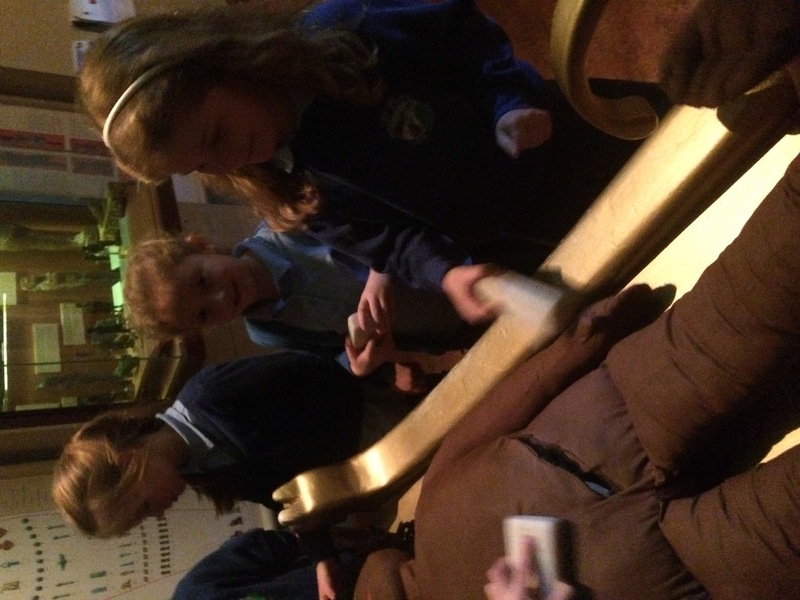 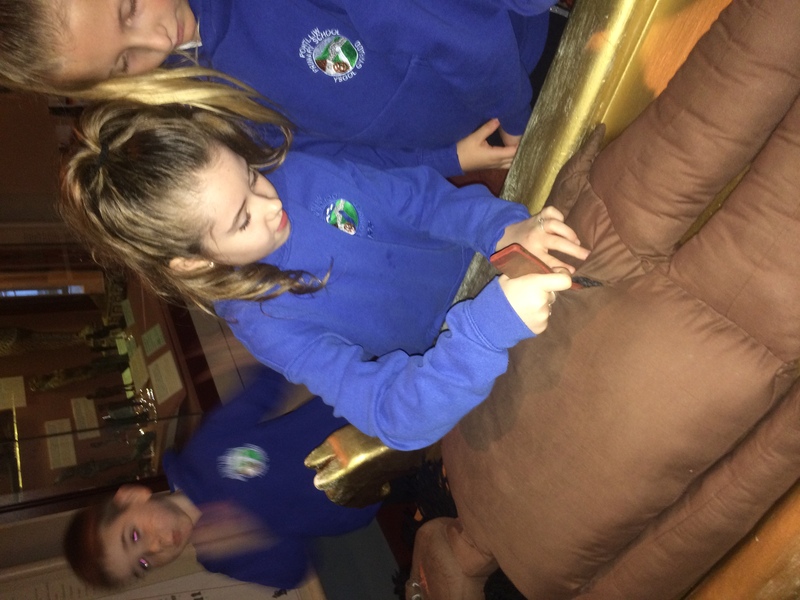 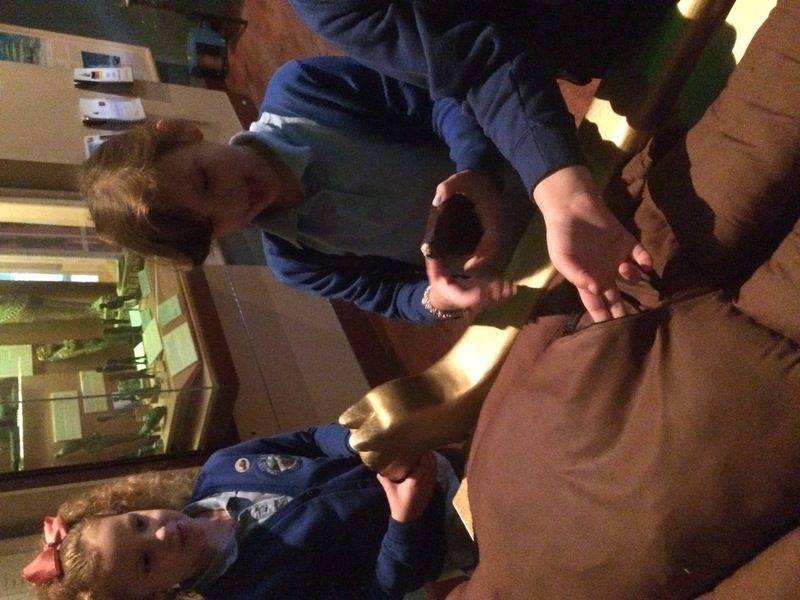 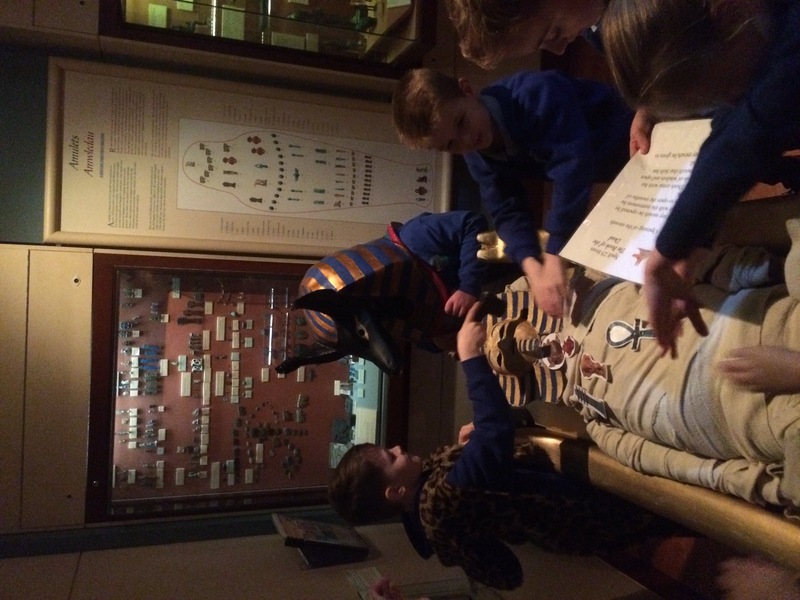 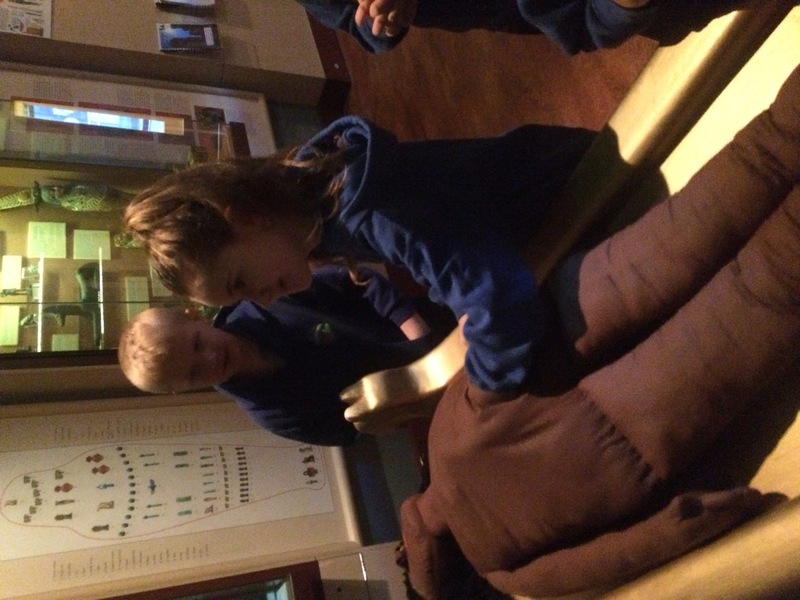 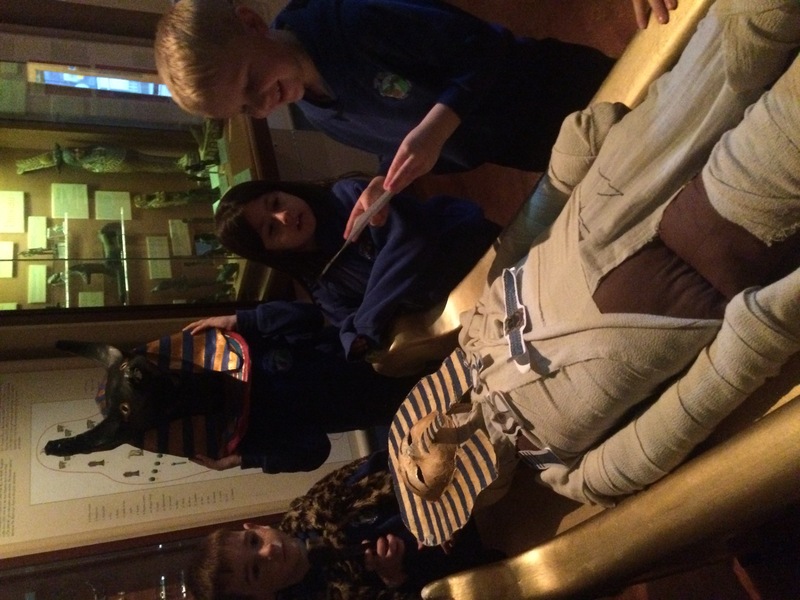 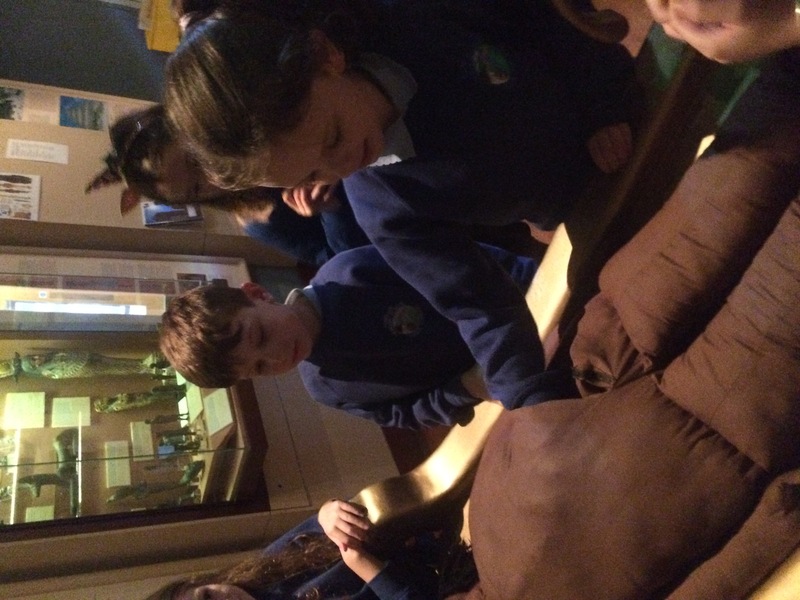 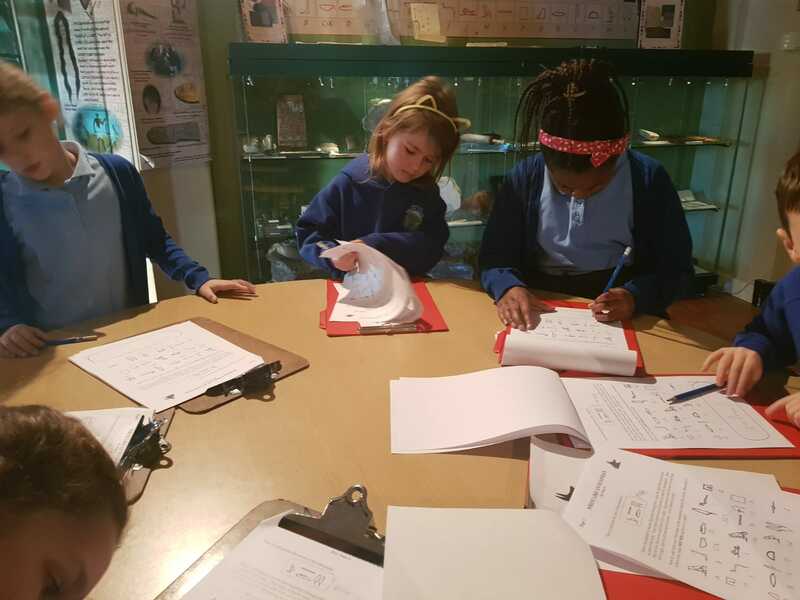 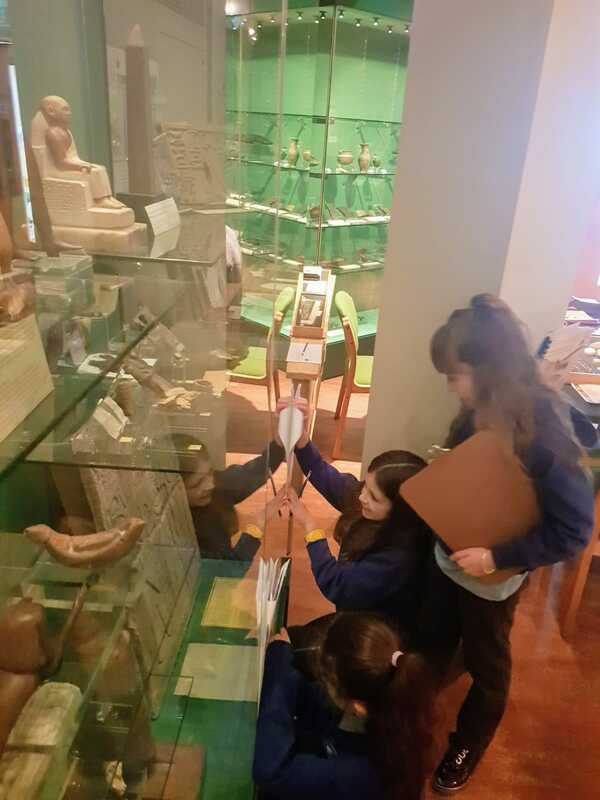 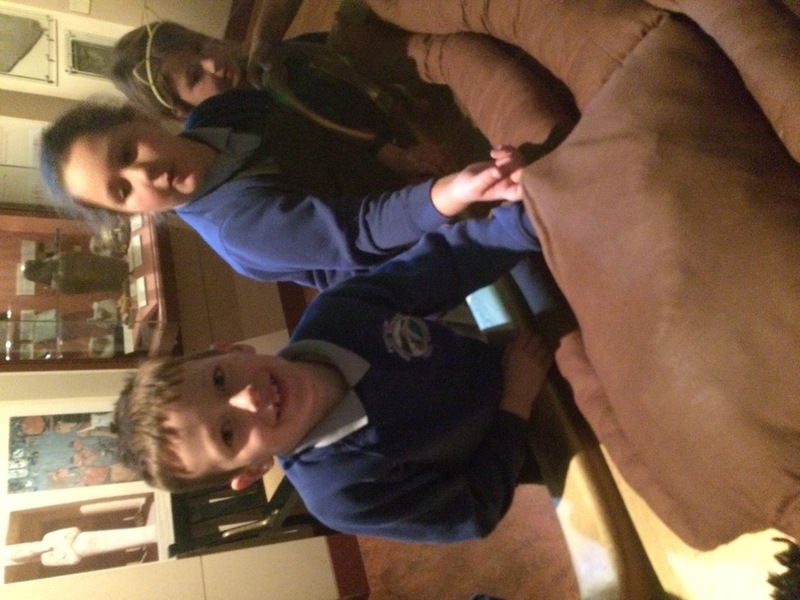 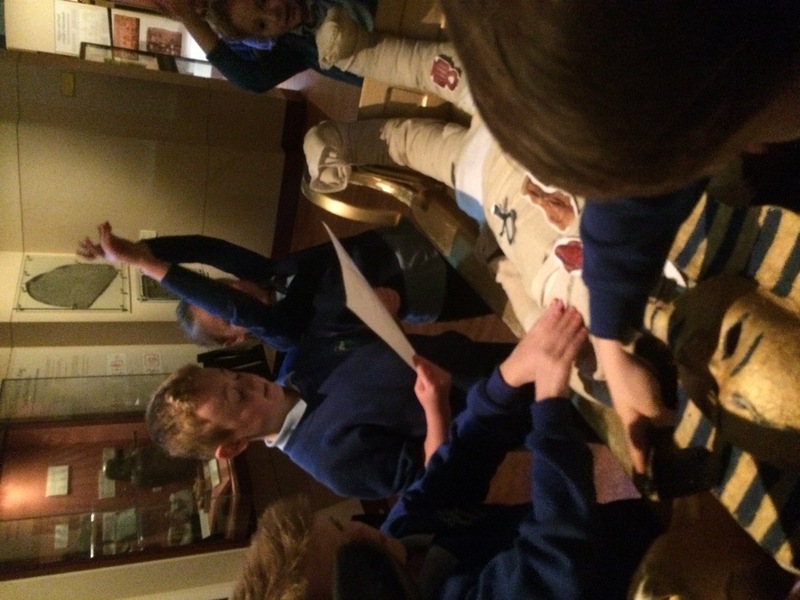 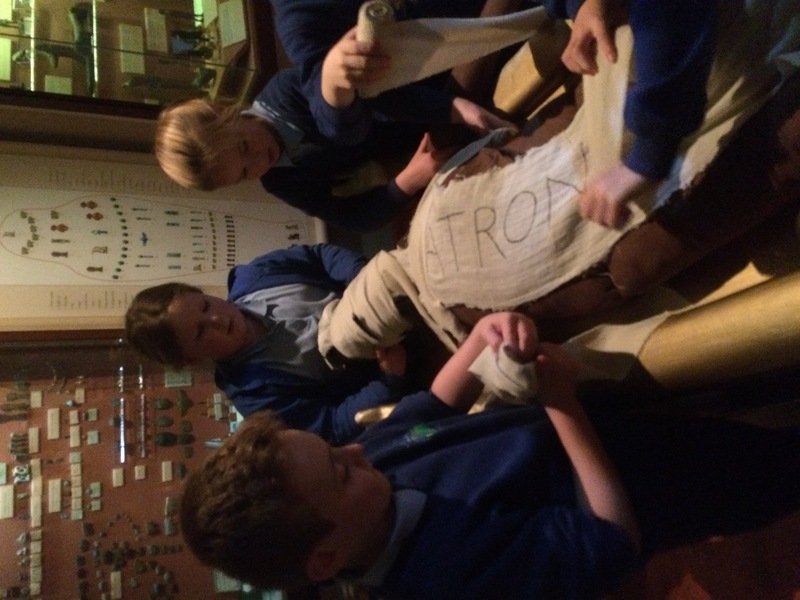 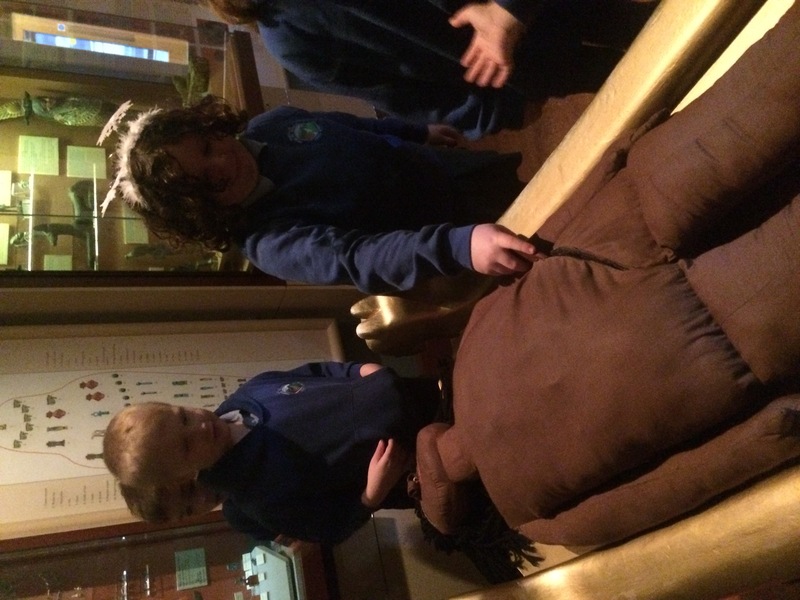 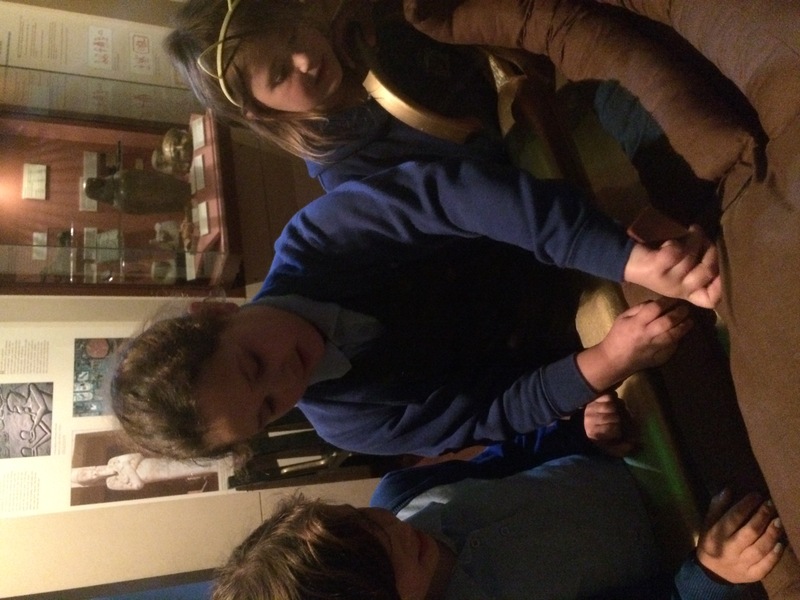 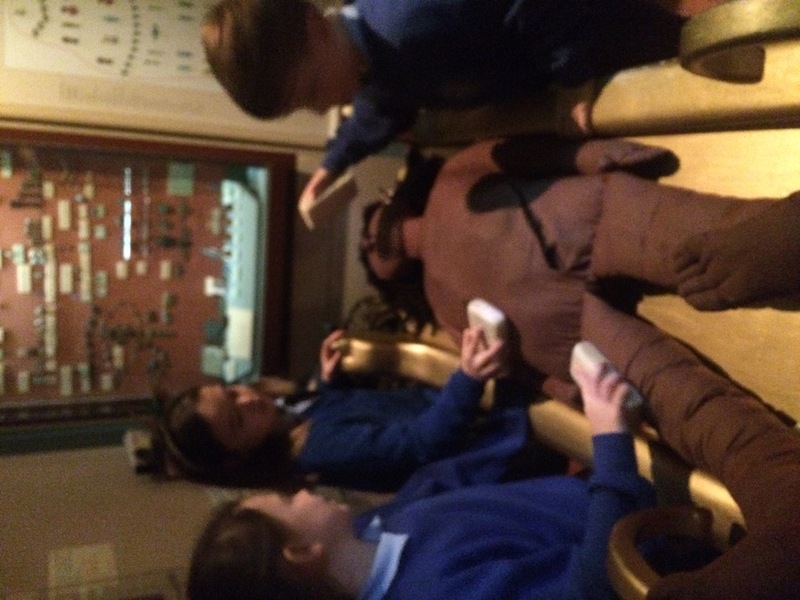 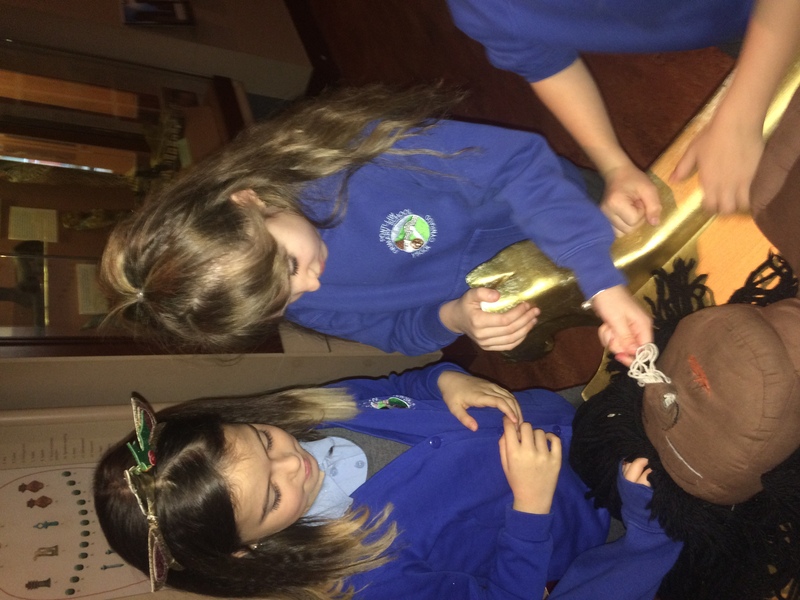 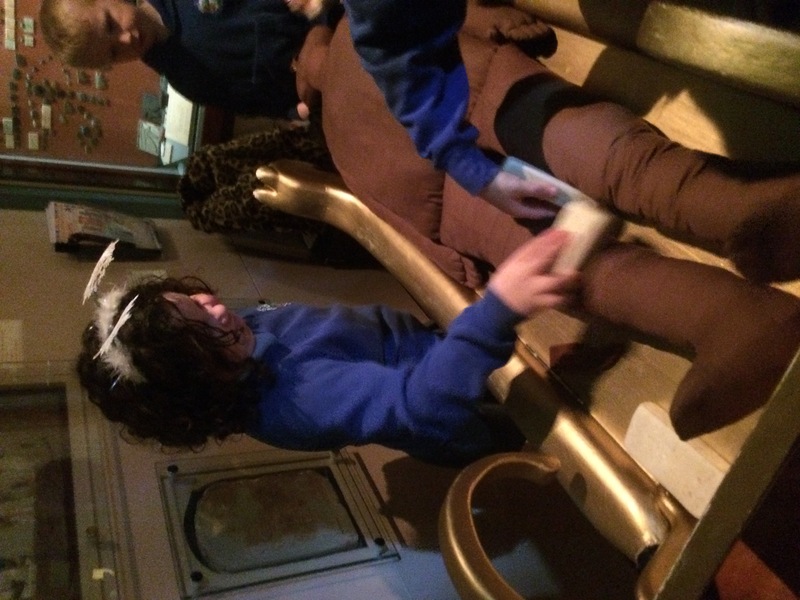 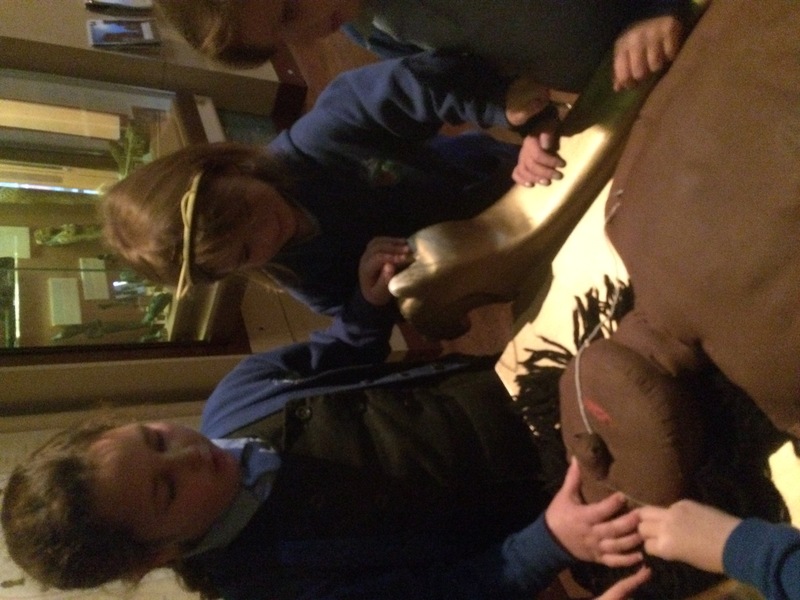 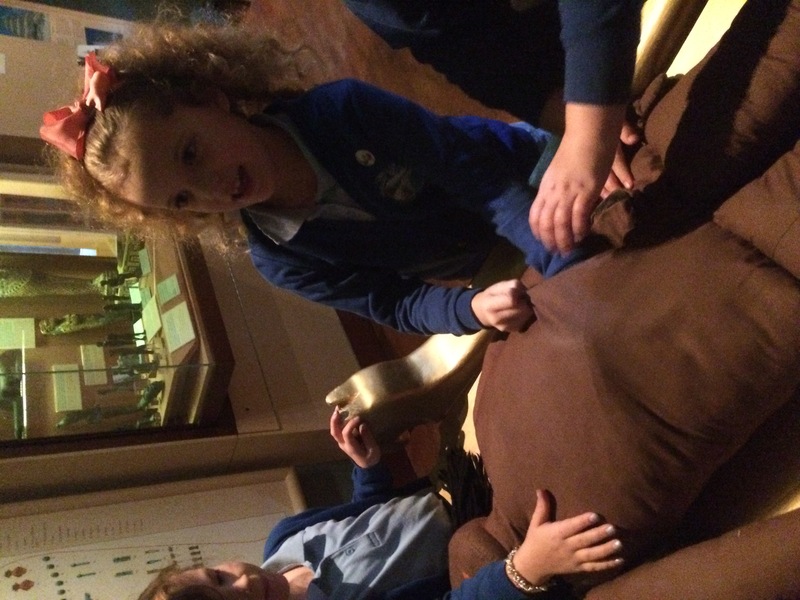 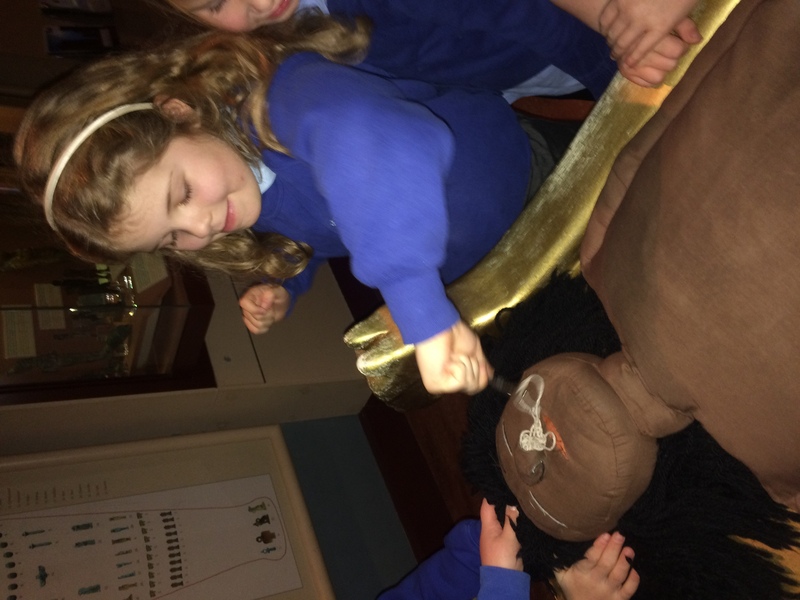 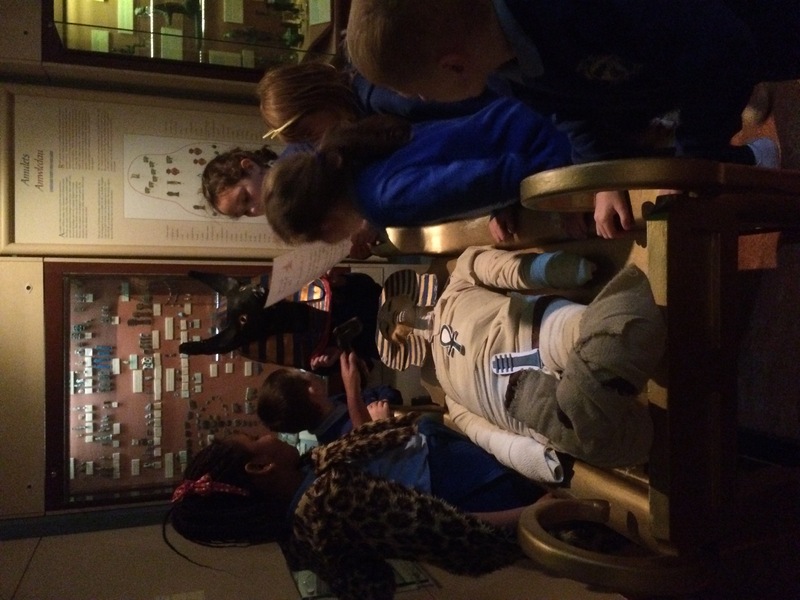 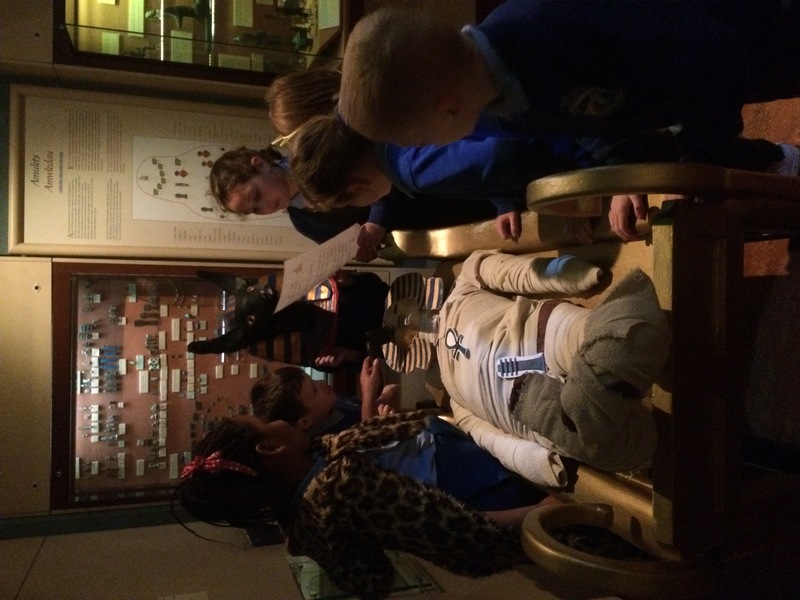 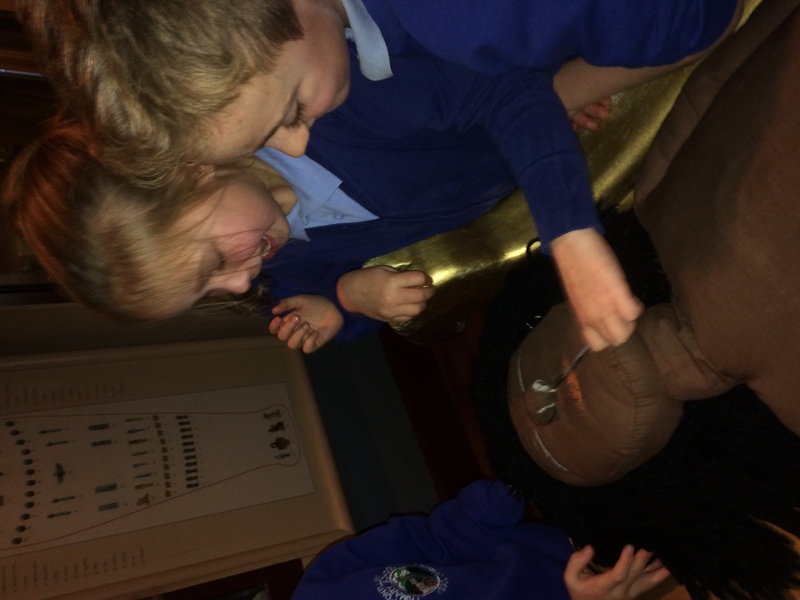 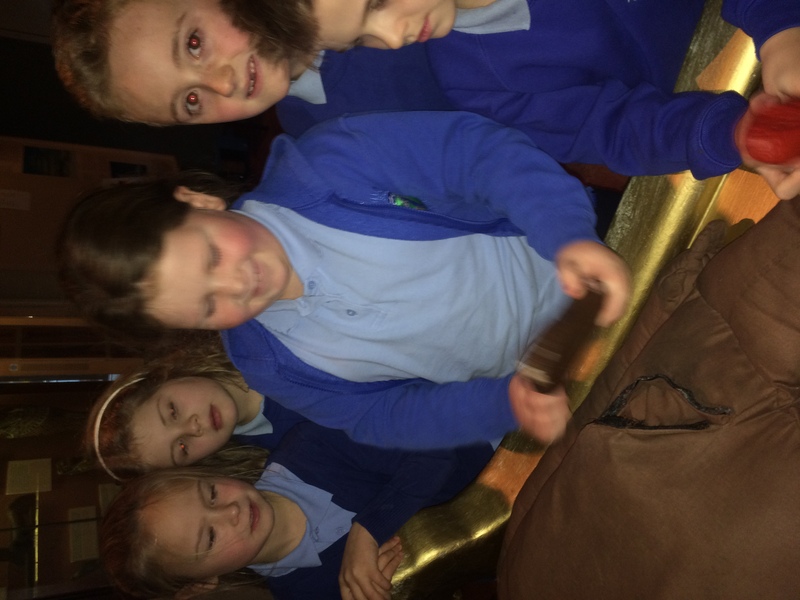 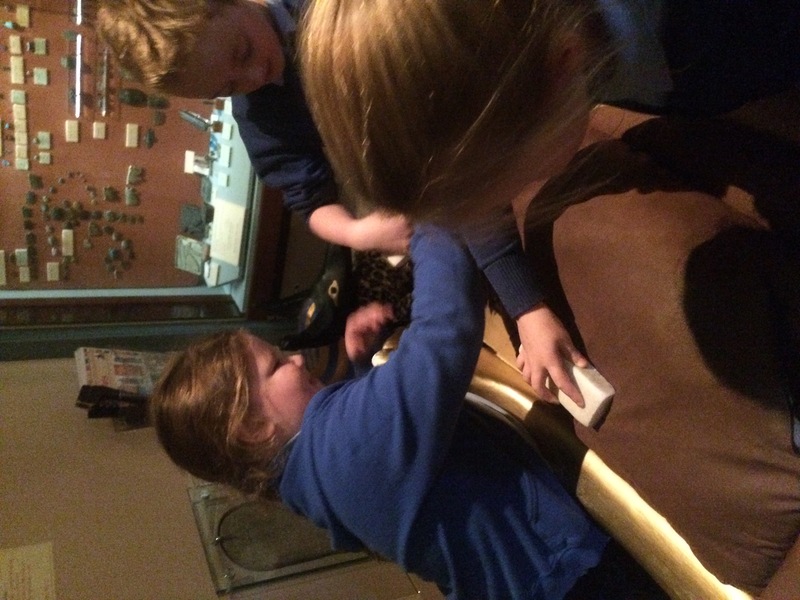 Firstly, the children found out about why the ancient Egyptians mummified their dead. 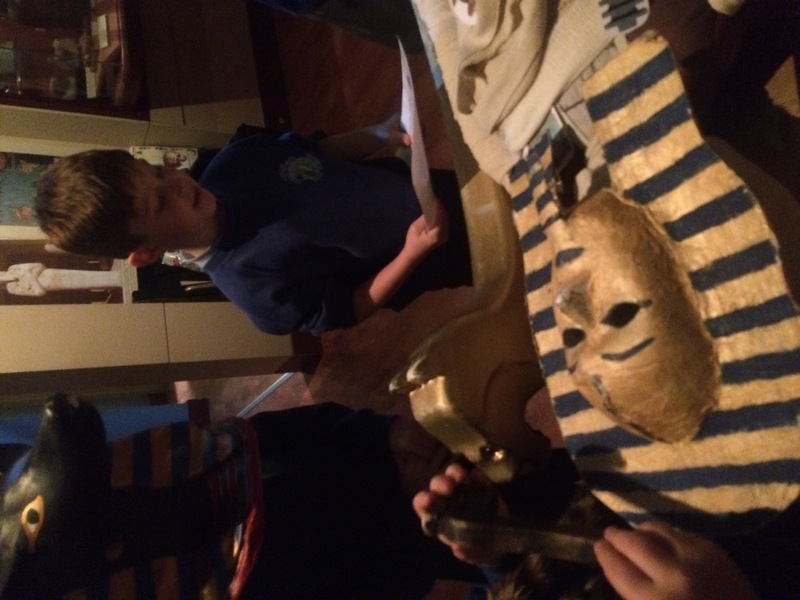 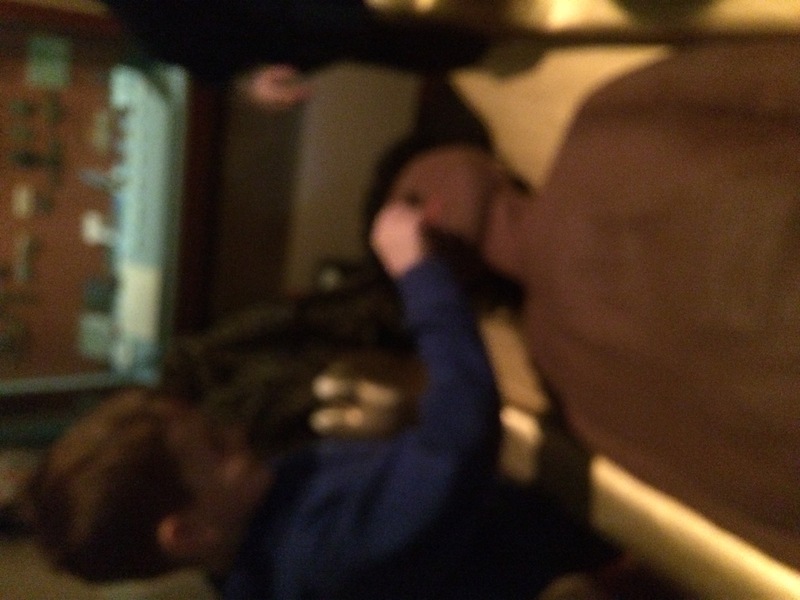 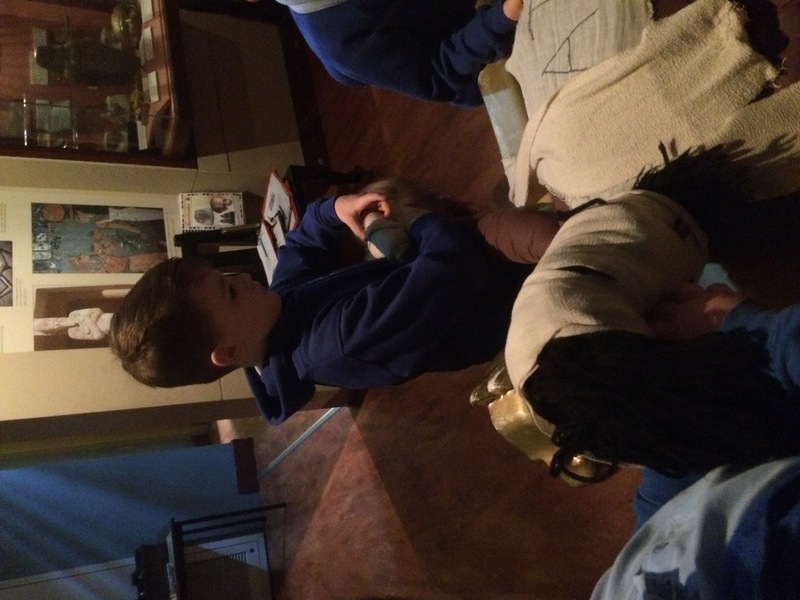 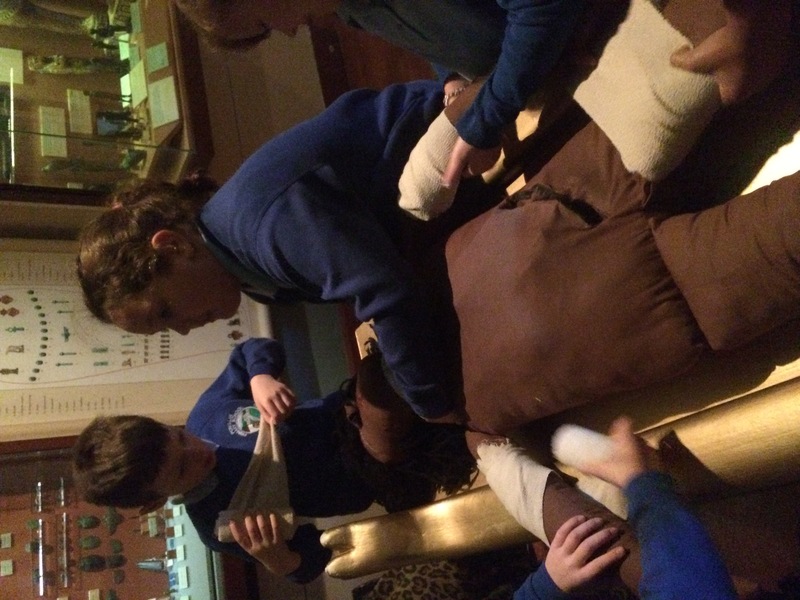 Through role play and the use of props, the children became ancient Egyptian embalming priests! 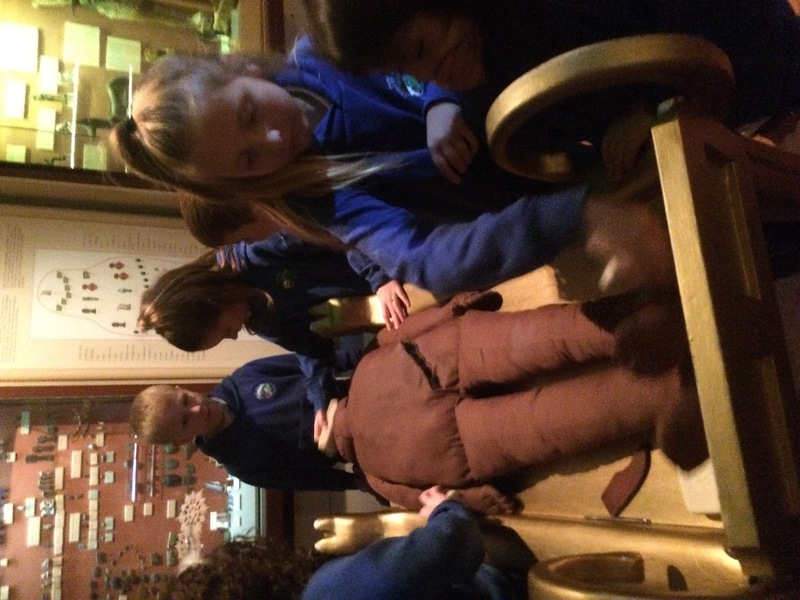 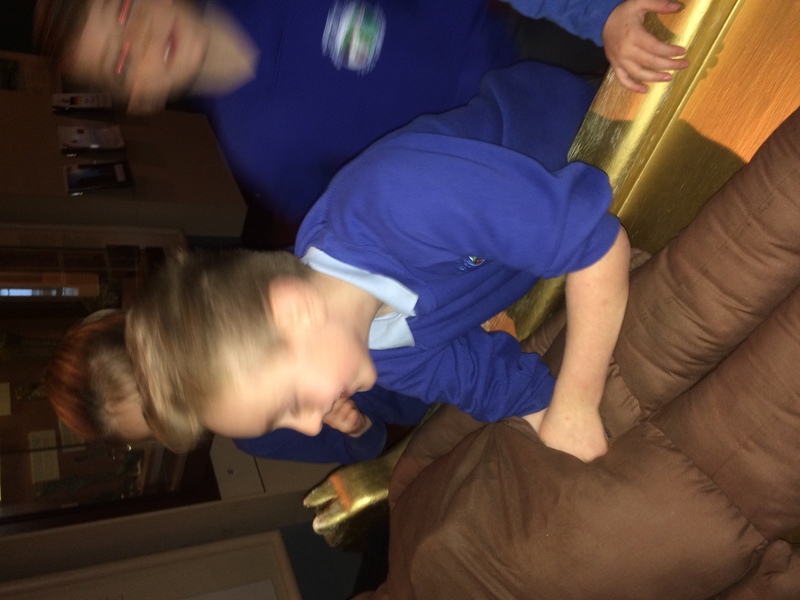 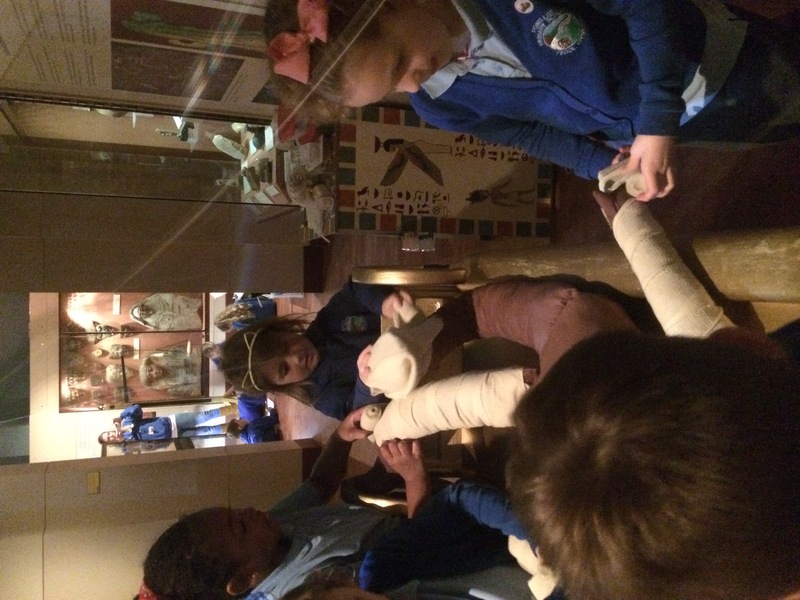 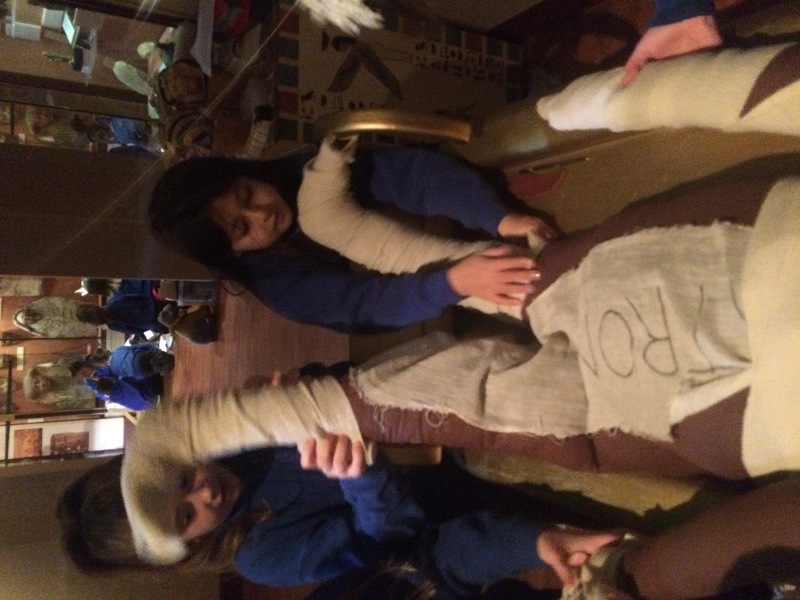 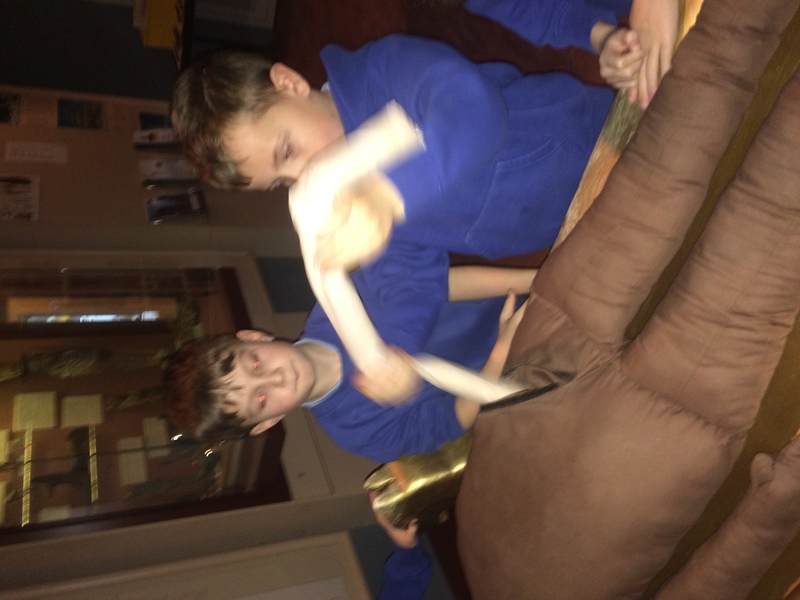 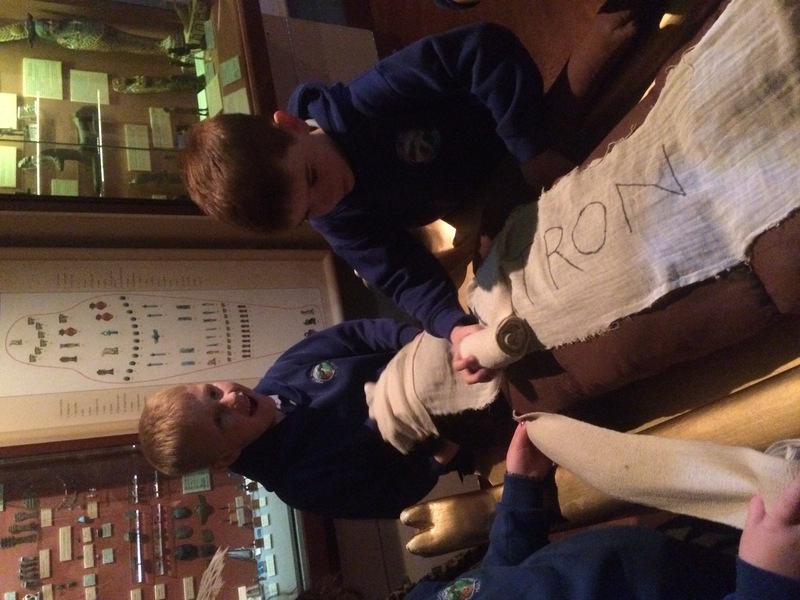 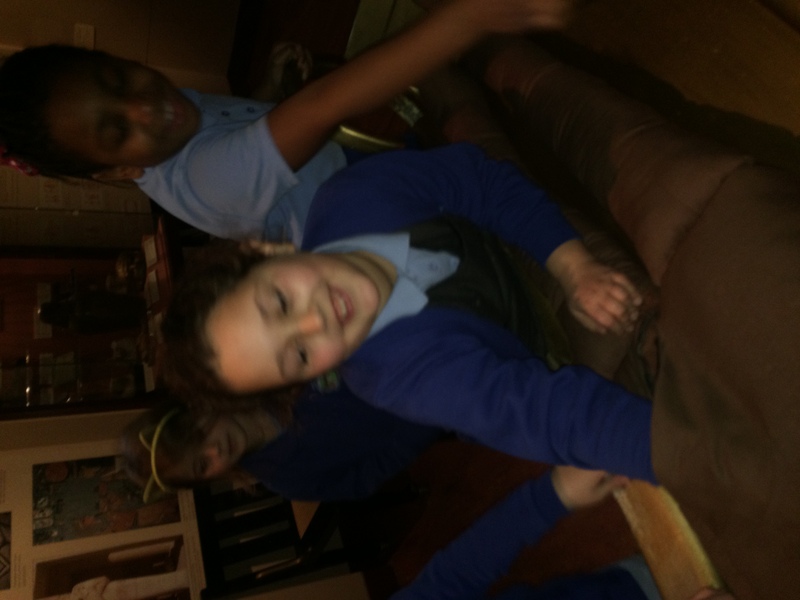 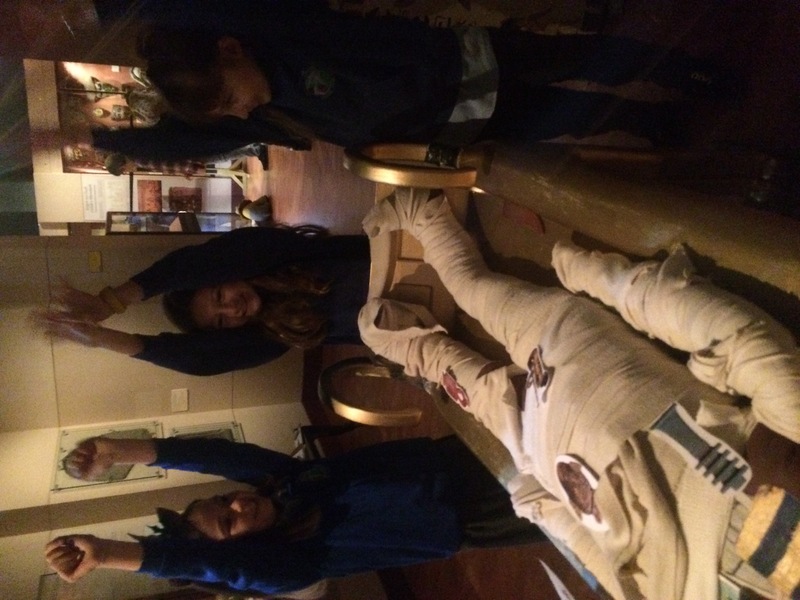 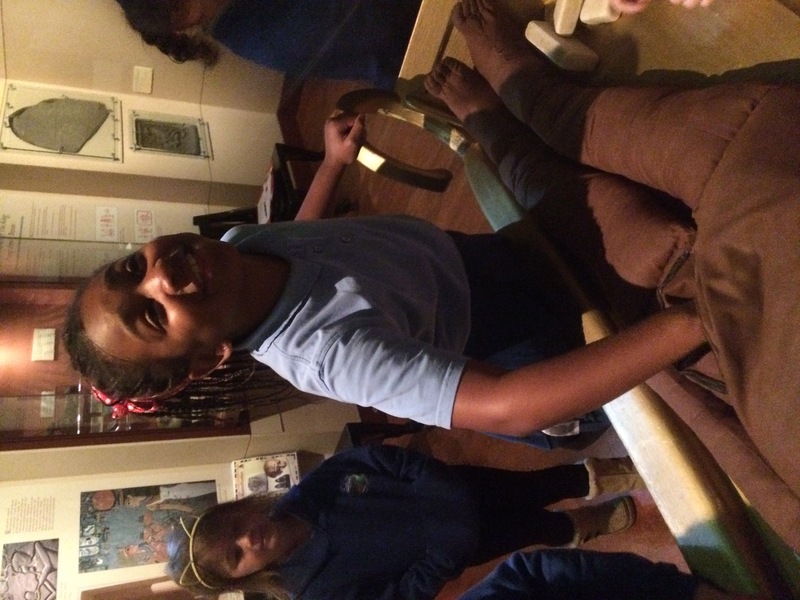 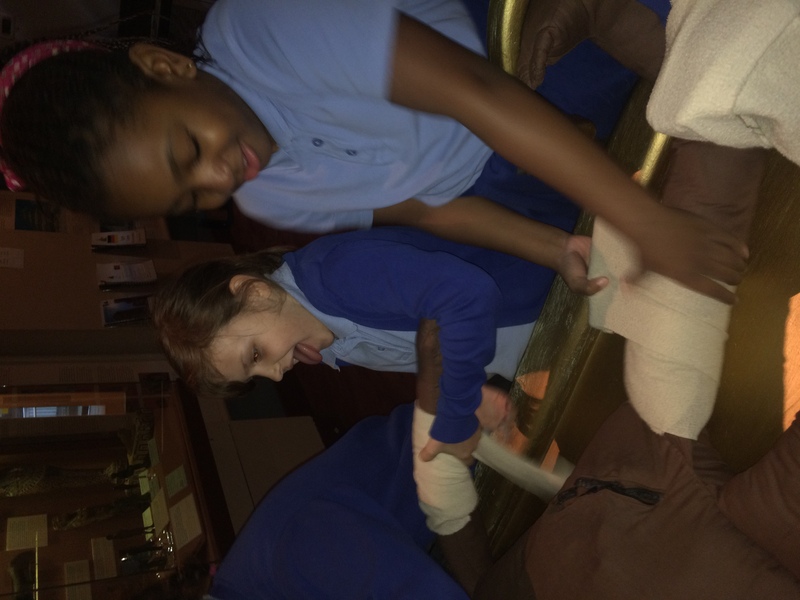 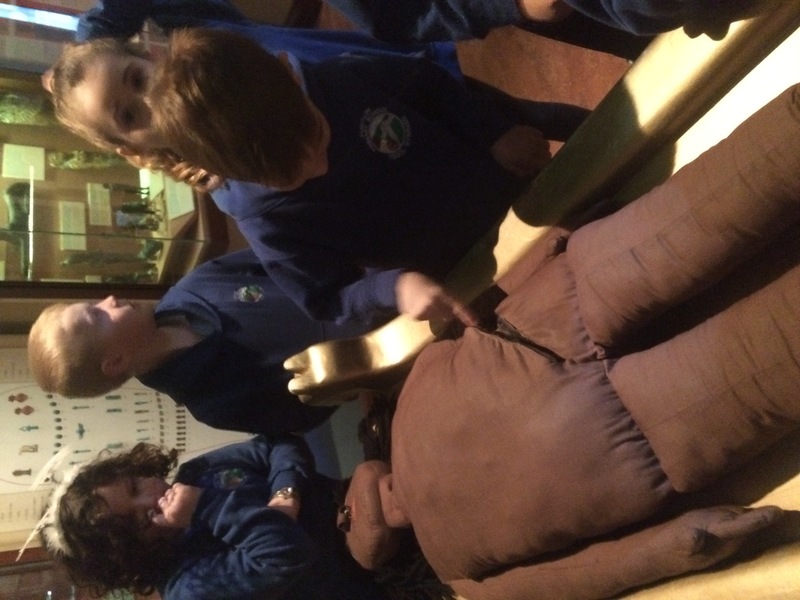 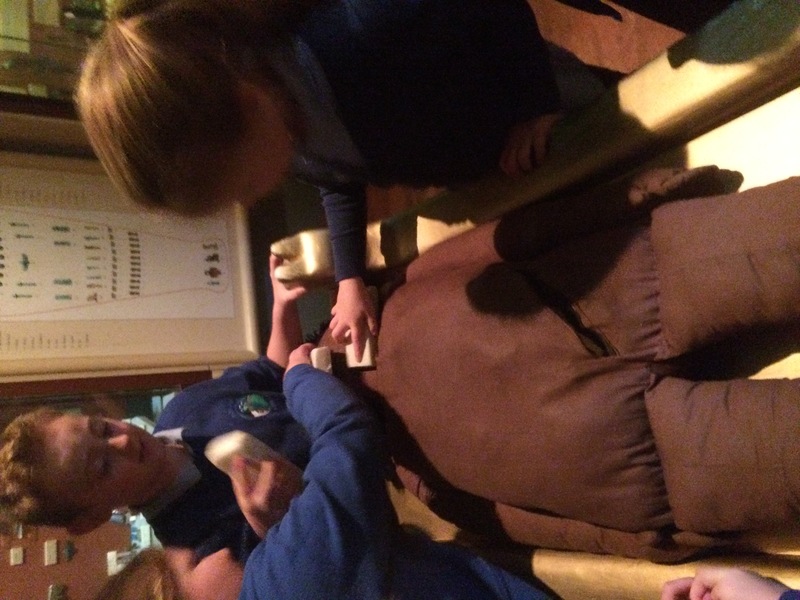 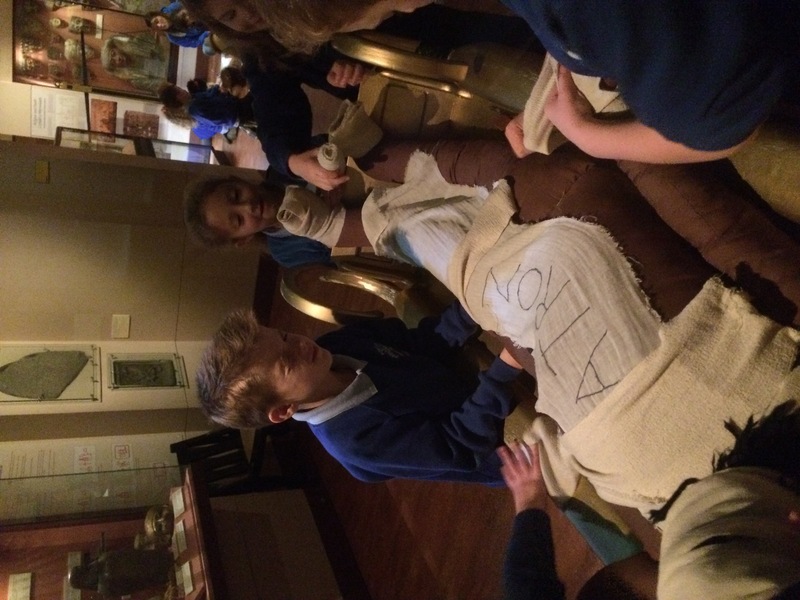 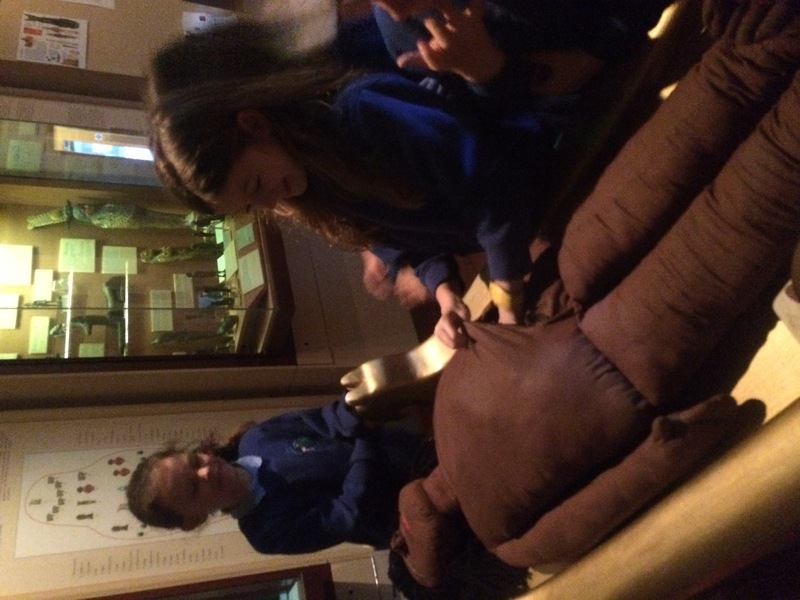 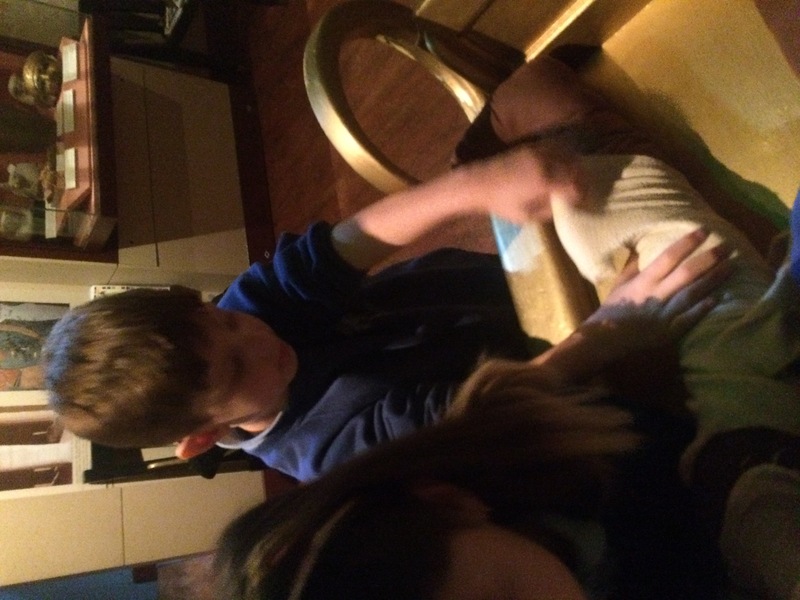 Using a life-size “dummy mummy” the children learnt the art of deluxe mummification! 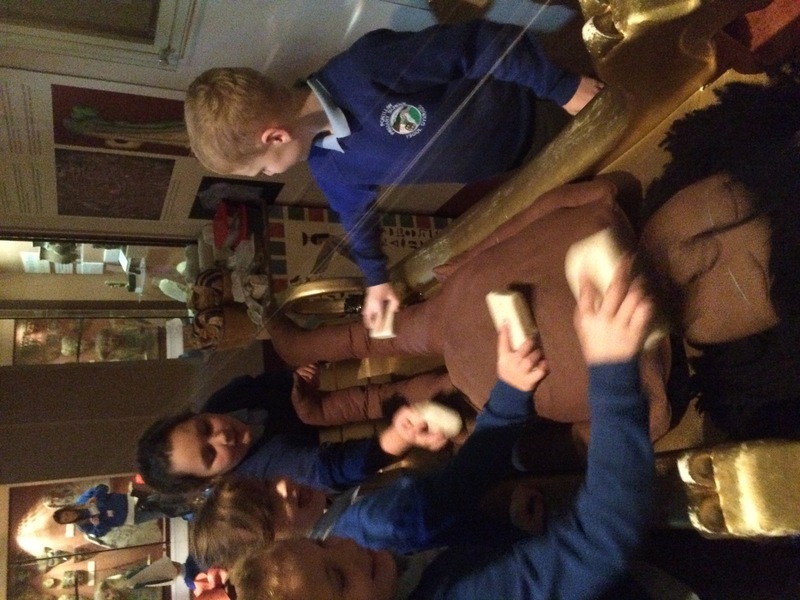 This included the removal of the organs from the body, placing them in the correct canopic jars, drying and bandaging the body and working out where to place the amulets on the body. 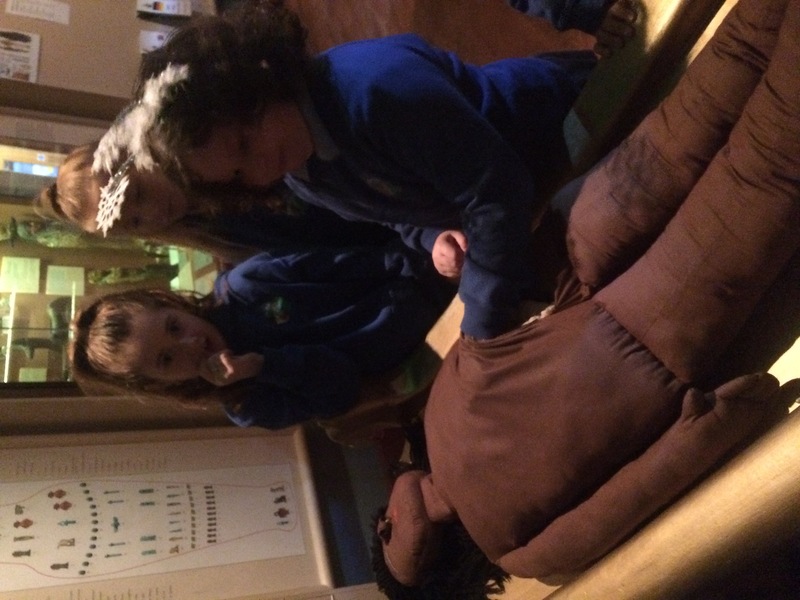 The children also learnt about the ceremony and ritual that was an integral part of the mummification process. 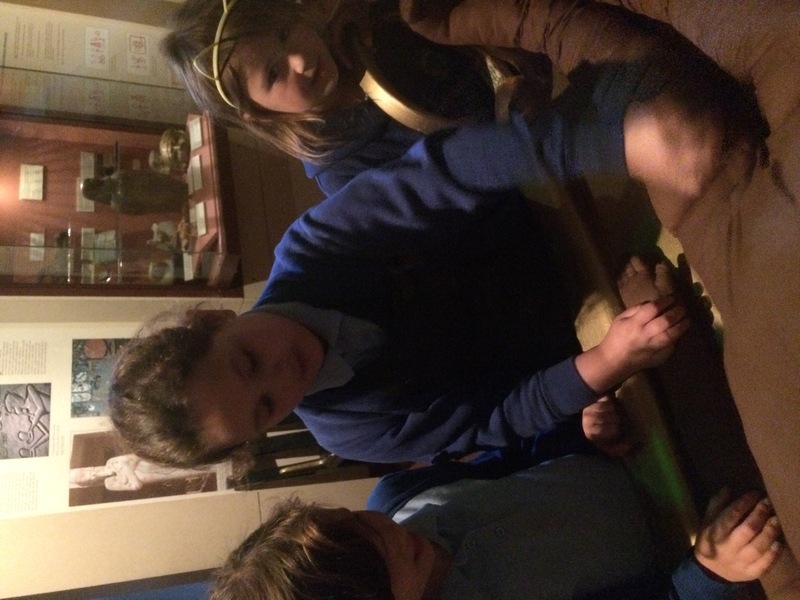 After that, the children found out about the ‘Weighing of the heart’ ceremony. 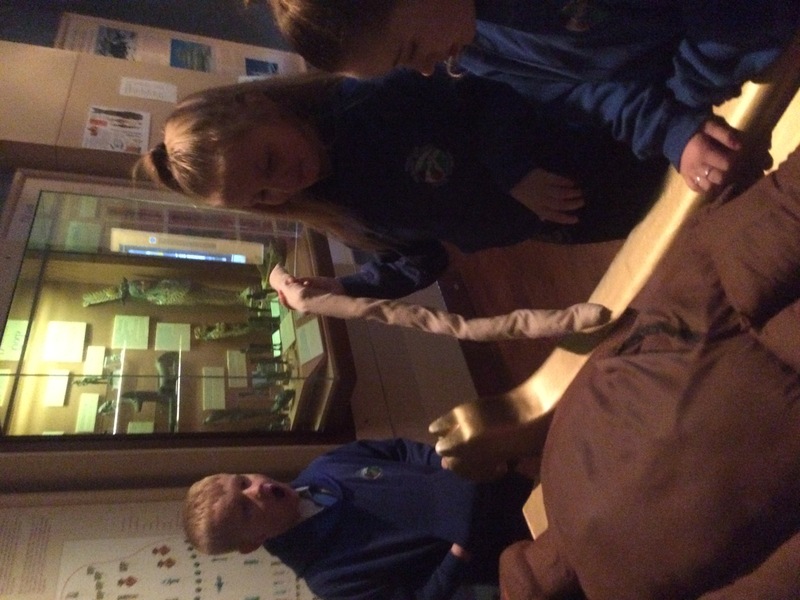 They re-enacted the journey made by the deceased after mummification to the afterlife and enjoyed dressing up to take on the role of different gods and the deceased. 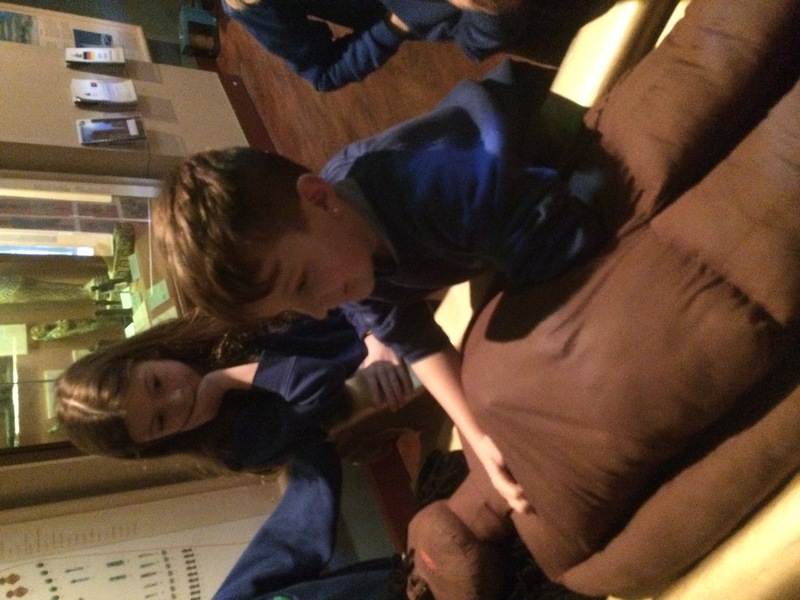 What a fun way to end our topic. 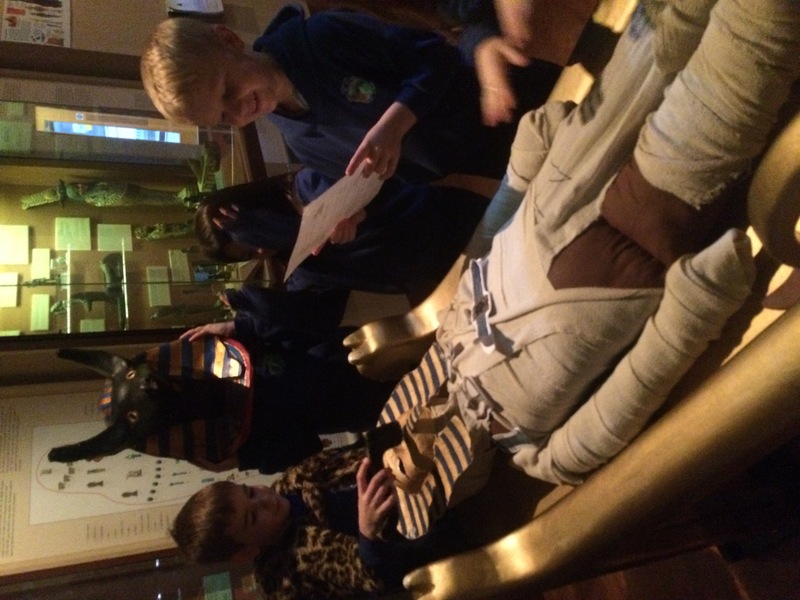 Well done boys and girls, you are all now officially Ancient Egyptian experts!